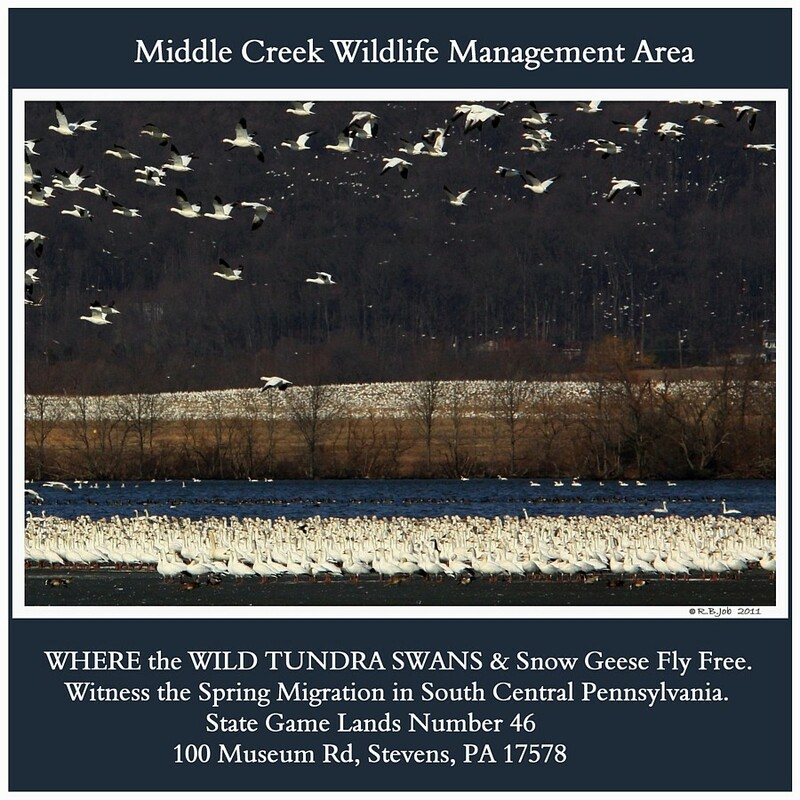 Where WILD TUNDRA SWANS & Snow Geese Fly Free. 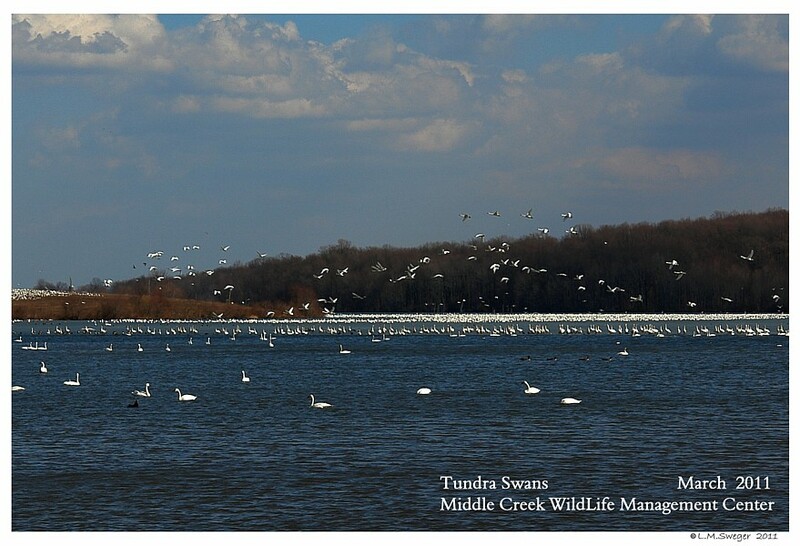 Middle Creek WildLife Management Area is a Unique Place to view Several Thousand Tundra Swans while they stop and rest in Flocks waiting for some Instinctive Signal that it is Time to Fly North, back toward the Territories where they will start their Nesting Season. 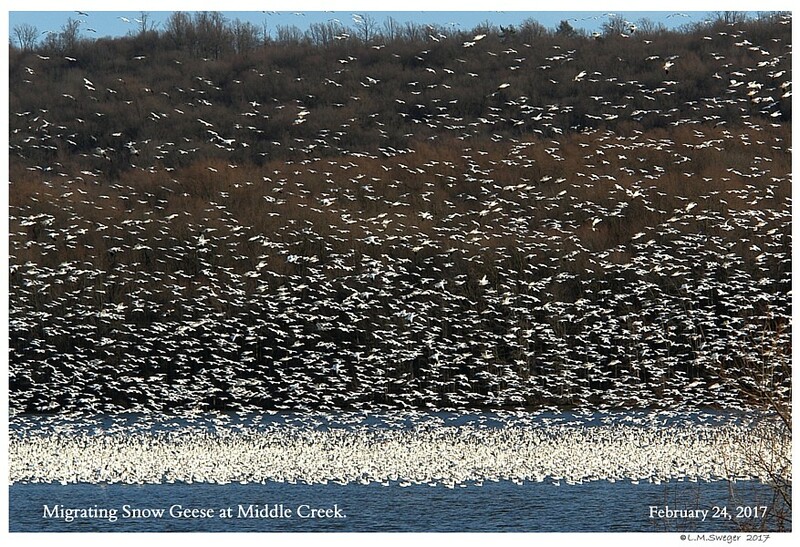 From February through early March, as Large Migrating Flocks of Waterfowl begin to Arrive at Middle Creek, you may hear Comments on the Local News that the Snow Geese are at Middle Creek Wildlife Center. They often do not say much more.. 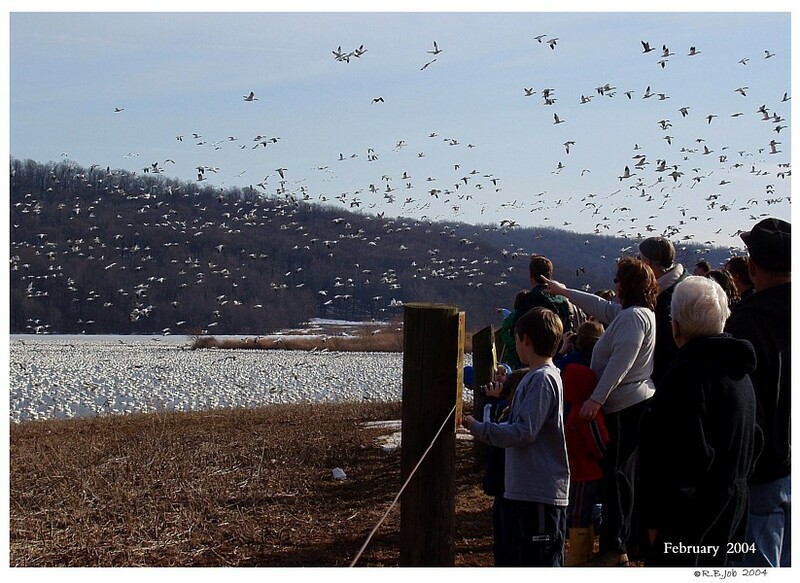 They might show a quick Video Clip… of the Snow Geese. 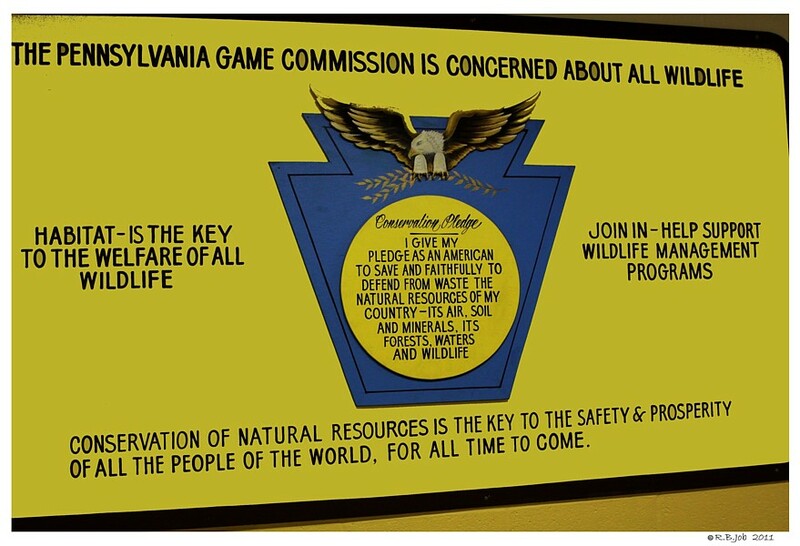 It is TIME to Check the Pennsylvania Game Commission Website…. 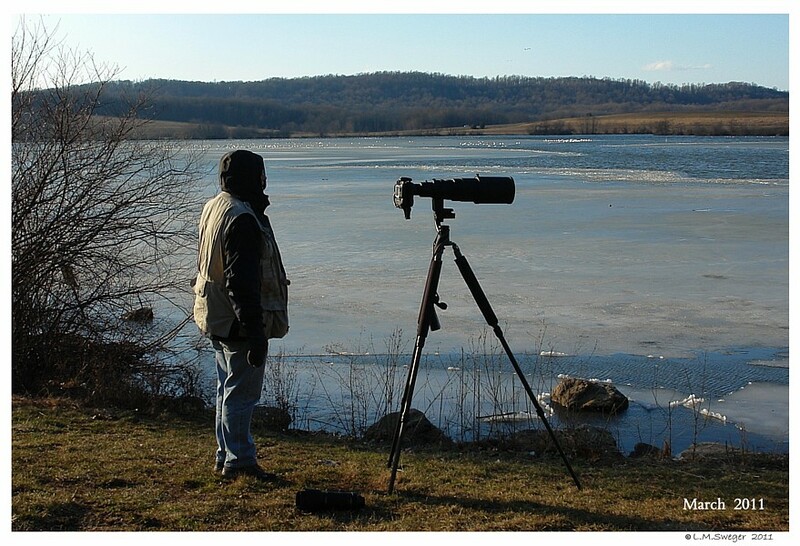 Estimated Bird Counts every few day. 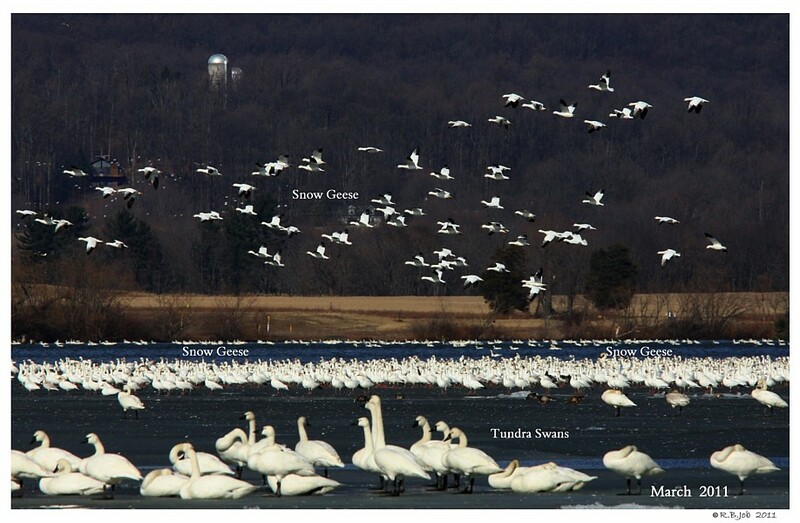 They Mainly Count the Snow Geese, Tundra Swans and Canada Geese until the Numbers Dwindle.. 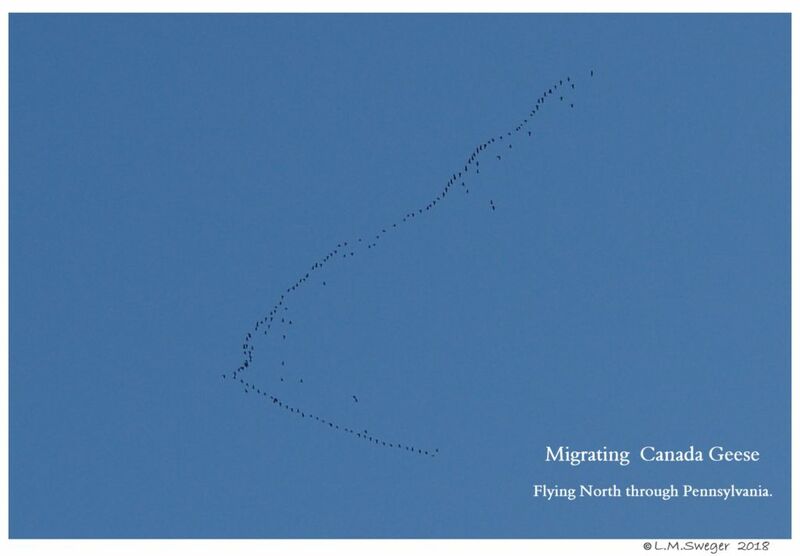 The Main Spring Migration Push may only last a few Days to Two-Three Weeks. Every Year is Different.. 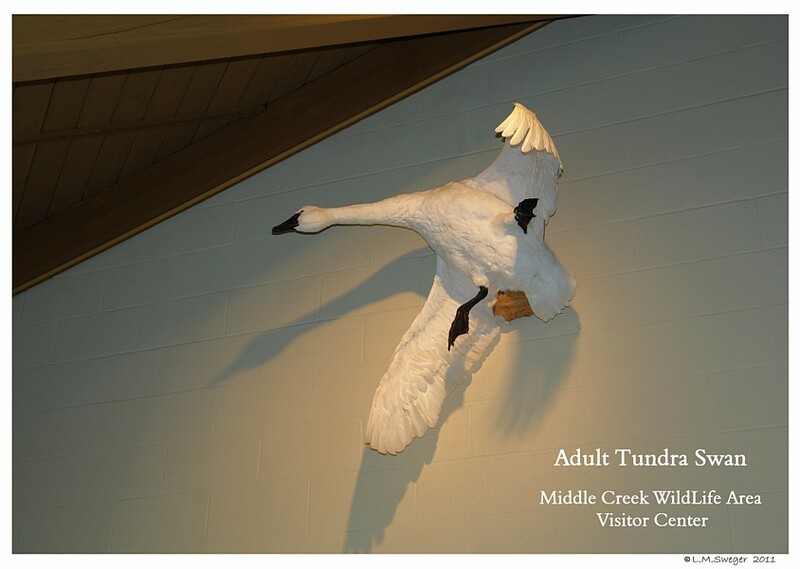 This is a Tundra Swan.. 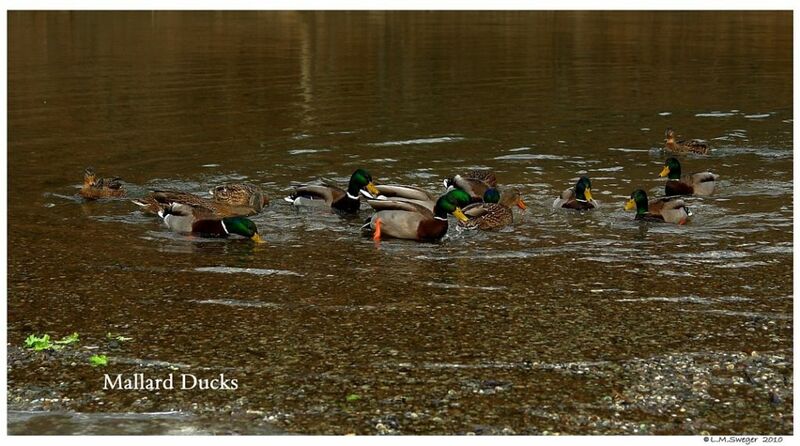 There is a Yellow Spot between the Eye and their BLACK BEAK..
And they do look like they are Smiling. 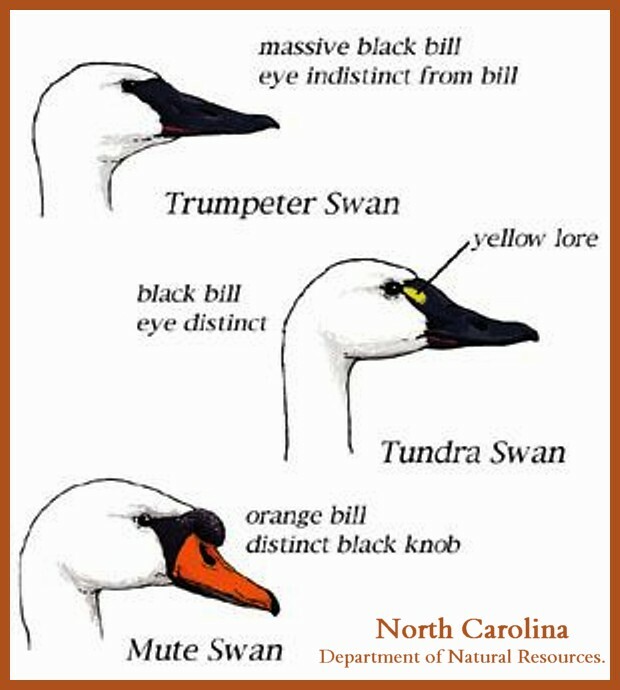 Trumpeter Swans have Black Beaks, they do not have this Yellow Spot.. 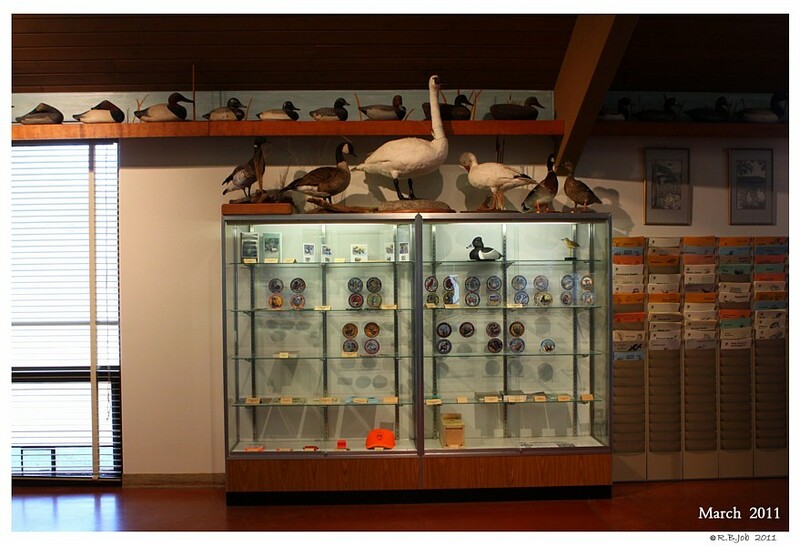 Both Species are Federally Protected Native Swans. 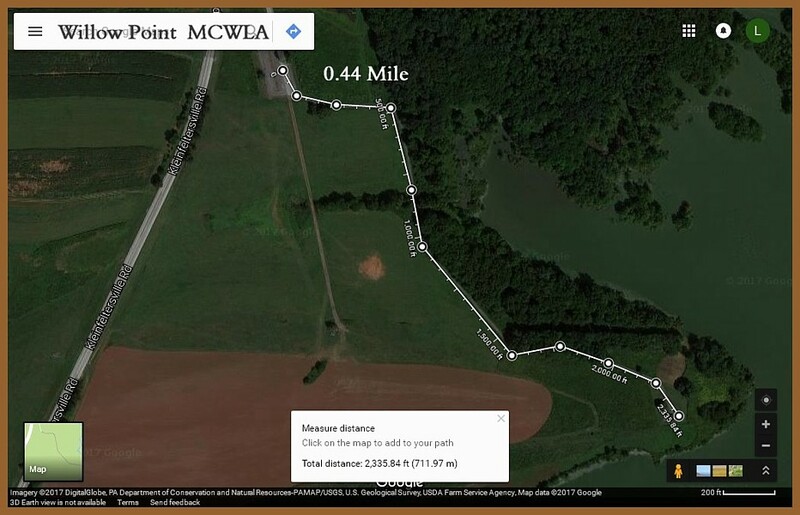 Middle Creek WildLife Management Area – MCWMA. 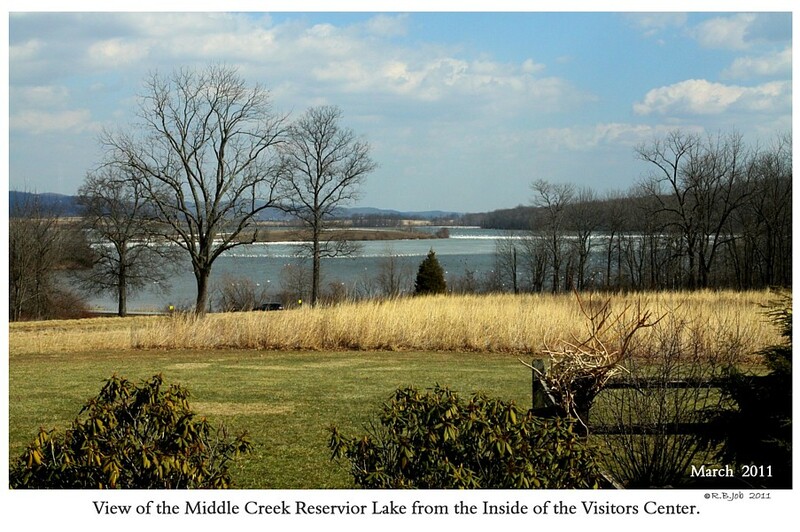 is In South Central Pennsylvania’s Lancaster County. 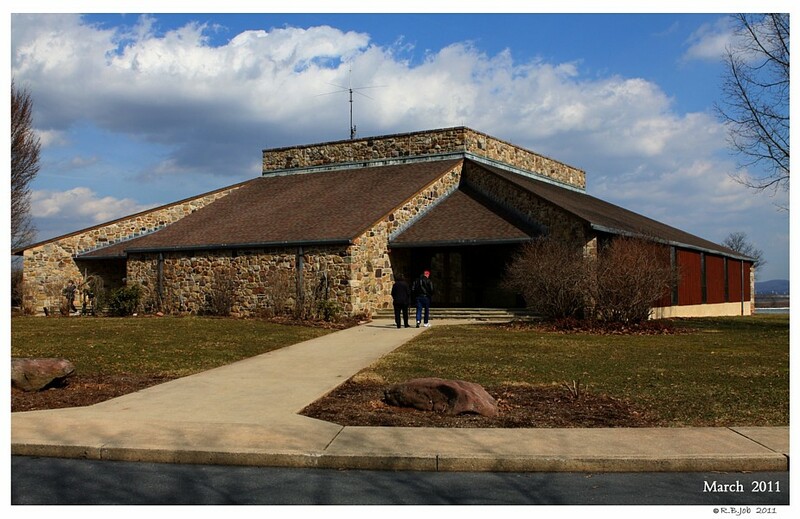 Constructed and Completed in the early 1970s. 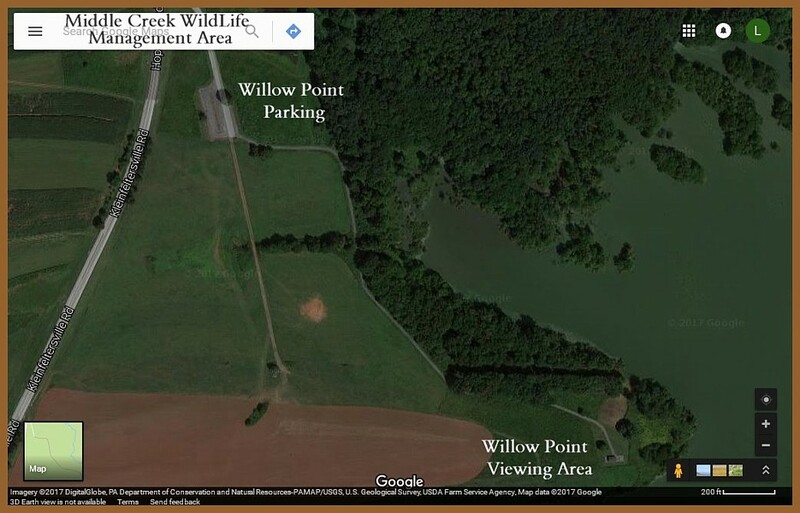 Pennsylvania Middle Creek WildLife Area History. This Summary of MCWMA is Interesting. 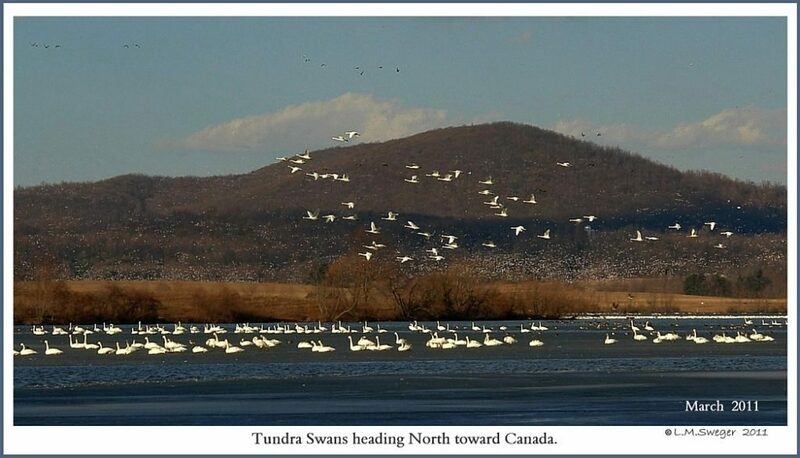 For those who enjoy Bird Watching.. it is a Place to witness the Annual Spring Migration of Tundra Swans, Snow Geese, Canada Geese.. and many other Species of Hawks, Ducks and Birds. 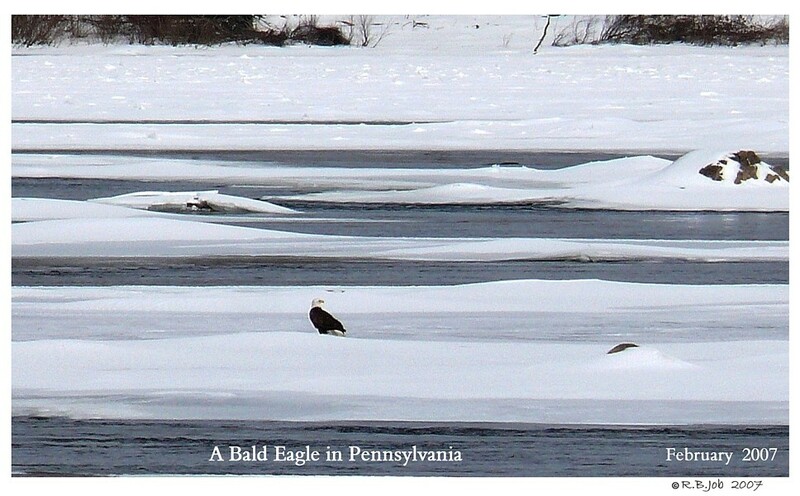 There are Resident Nesting Bald Eagles. 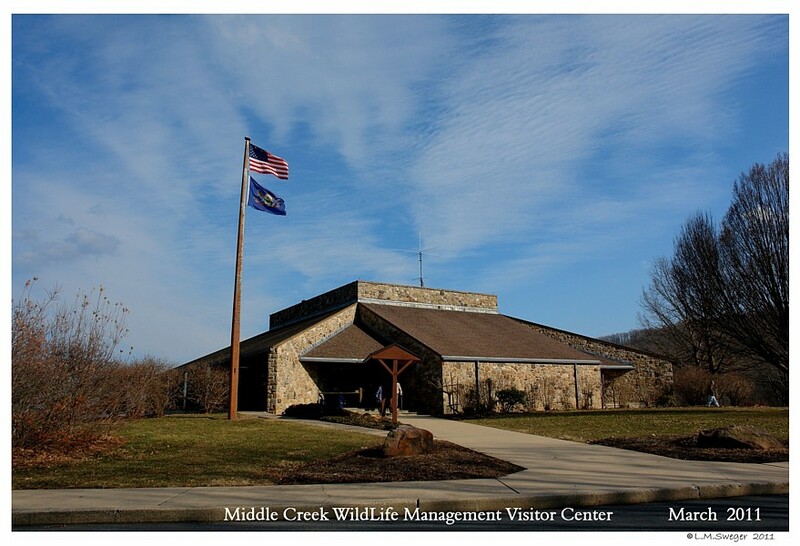 Middle Creek is a delightful place to spend a few hours on a Nice Day. 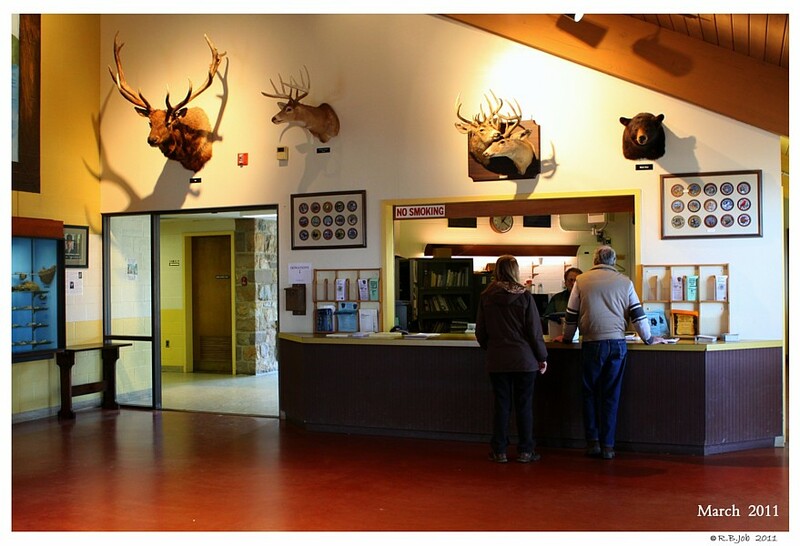 A Visit is worth the Trip at least once in your Life. 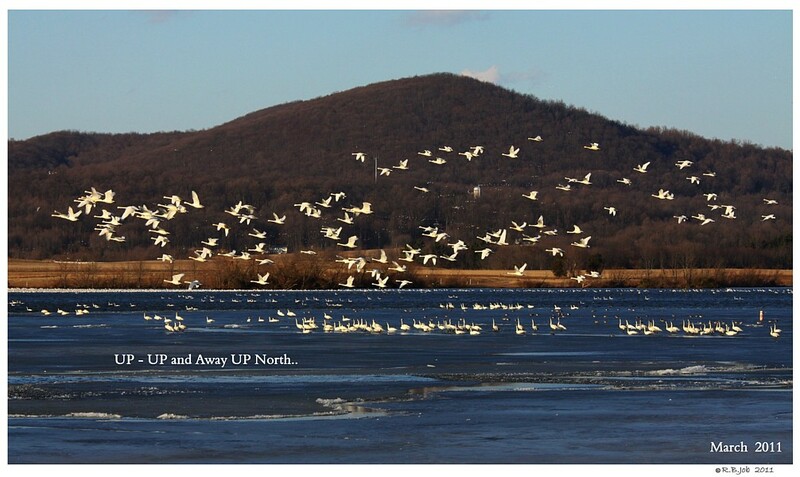 The Displays of Snow Geese Air Dancing in Mass are Breathtaking. 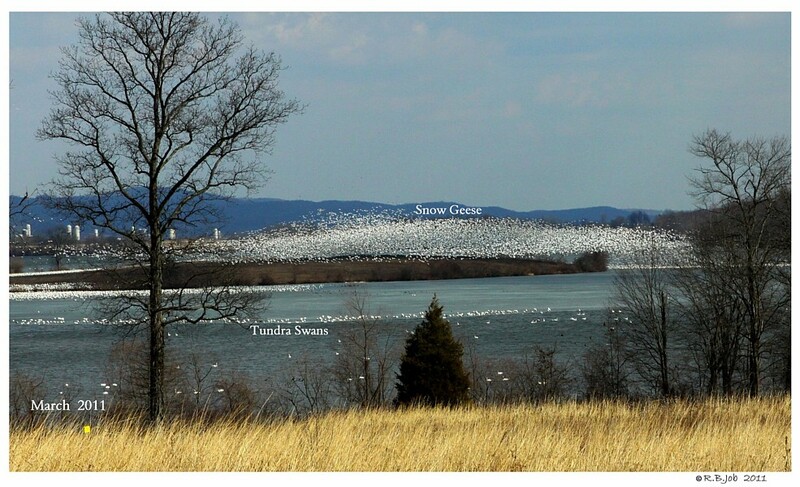 Resident Bald Eagles Spook the Snow Geese into Flight. 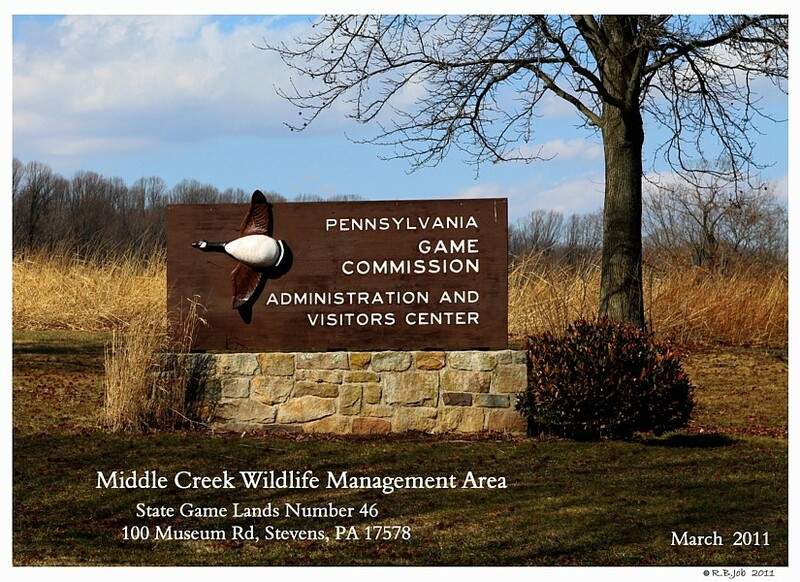 Middle Creek Wildlife Management Area All managed by the PA Game Commission. 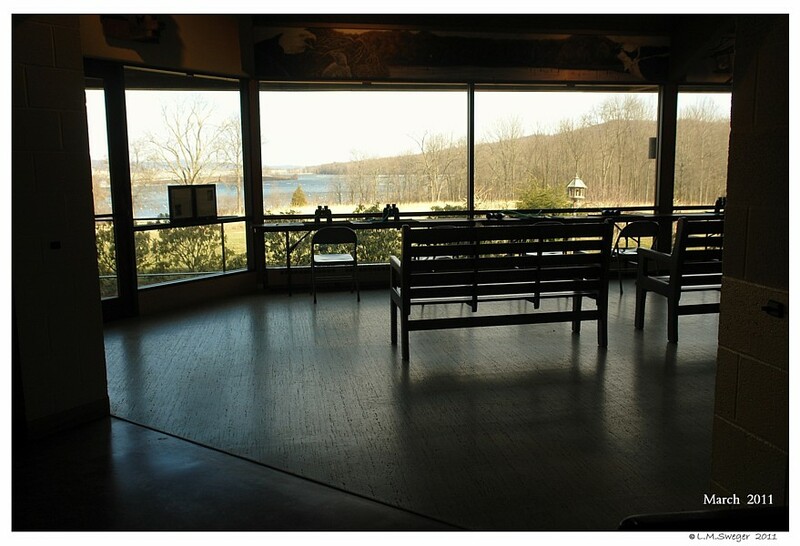 The Visitor Center is Closed from Thanksgiving to February 1st. 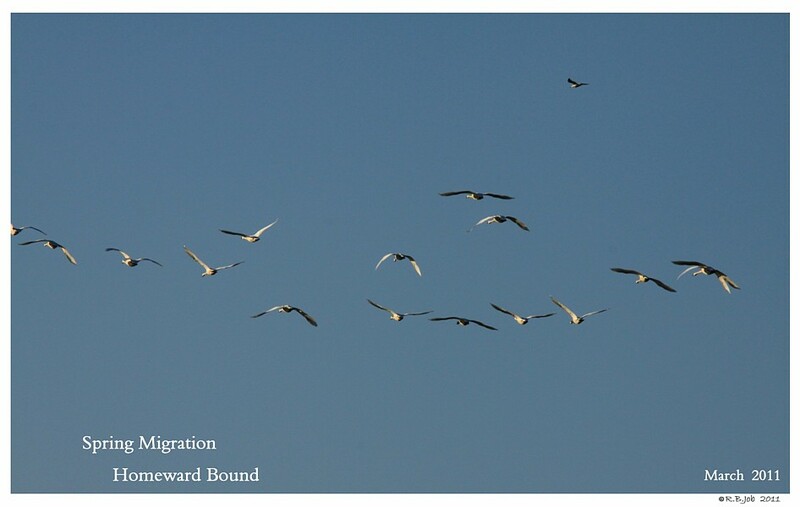 The WebPage Posts a Summary of the Migration Activities. The Site Link is Too Long. 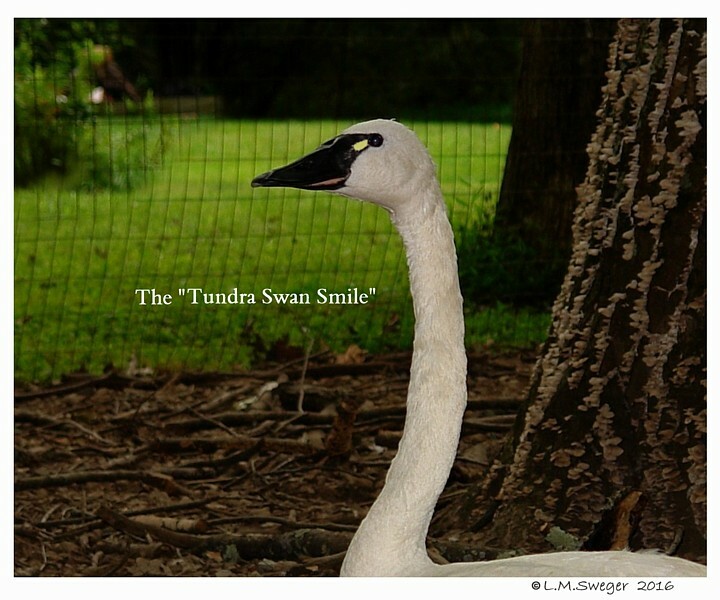 The Counts for the Tundra Swans may be 500 to 5,000 or more. 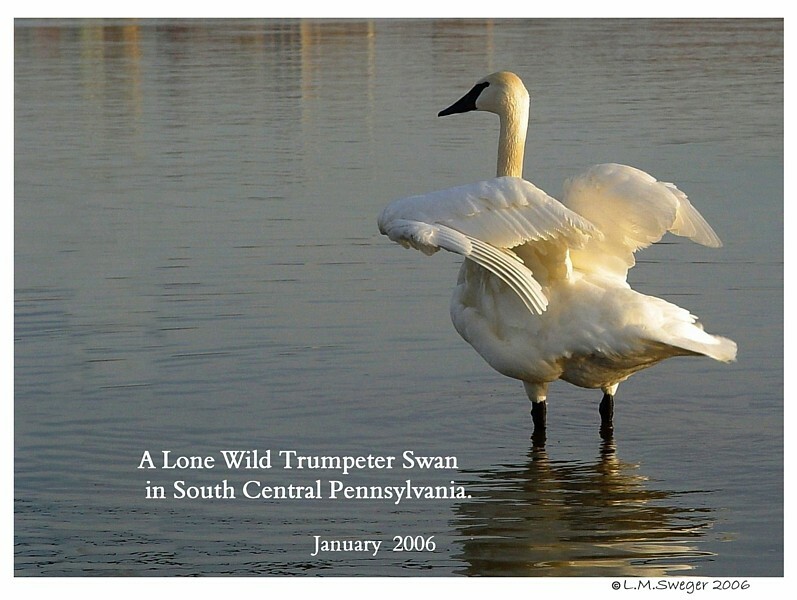 A Rare Trumpeter Swan has been noted during the last few years. 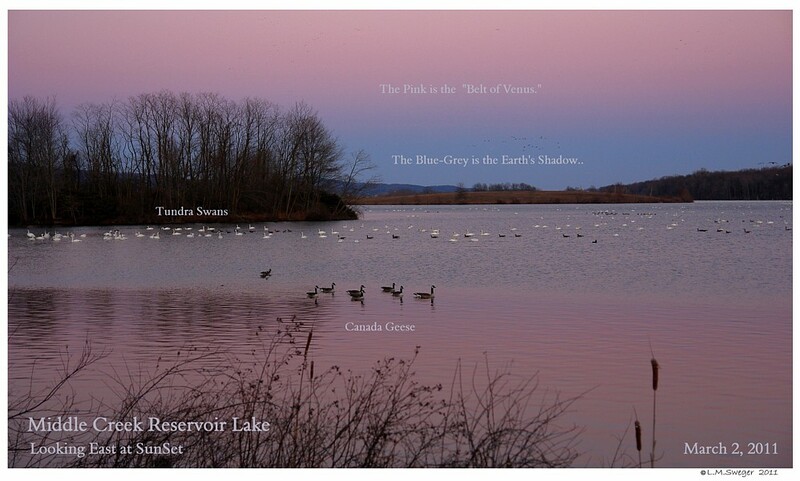 There are flocks of Canadian Geese, and various other Migrating Birds. 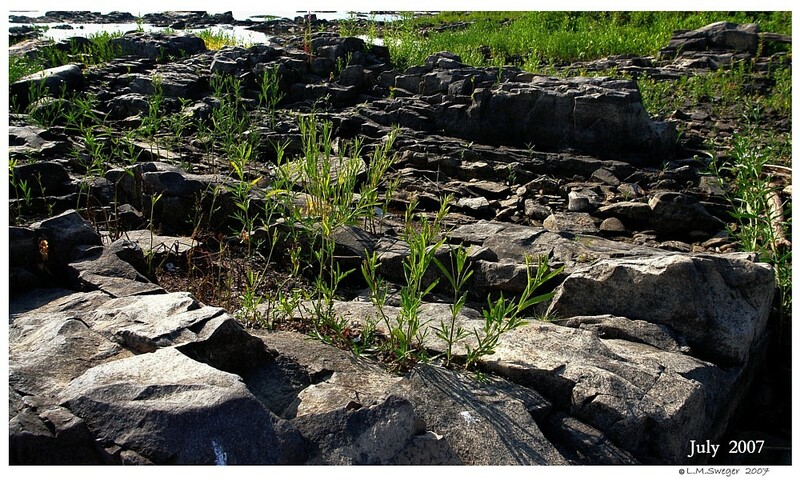 The Word TUNDRA means Barren Land. 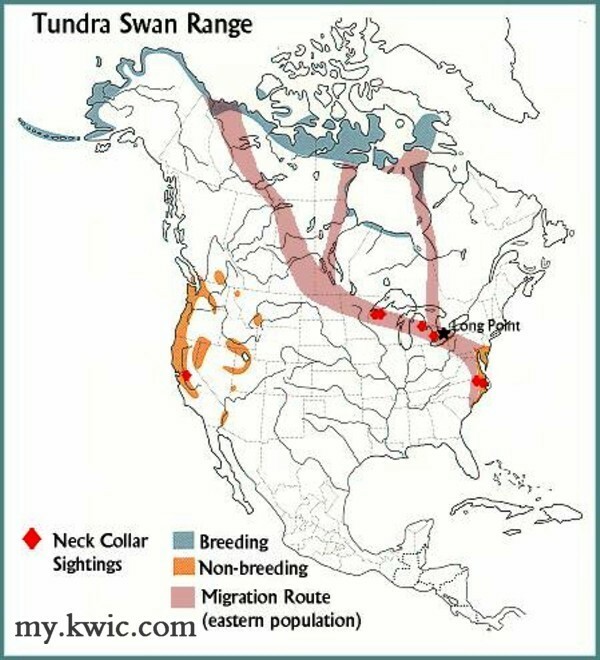 The Alaskan and Canadian Tundra Regions are Areas of Extreme Climate. 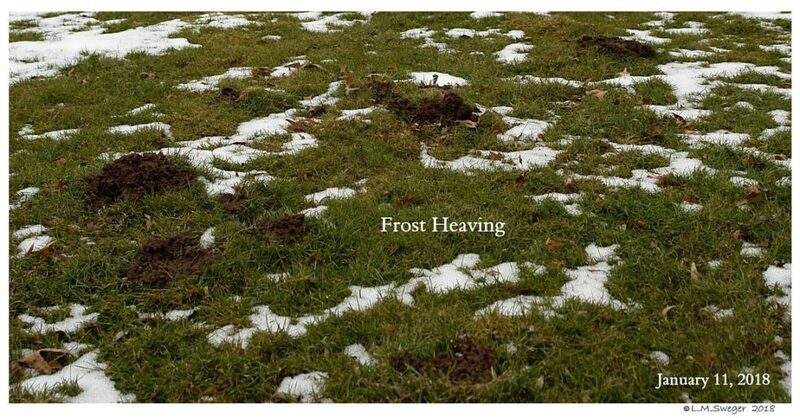 There are year-round Frozen Grounds – Permafrost. 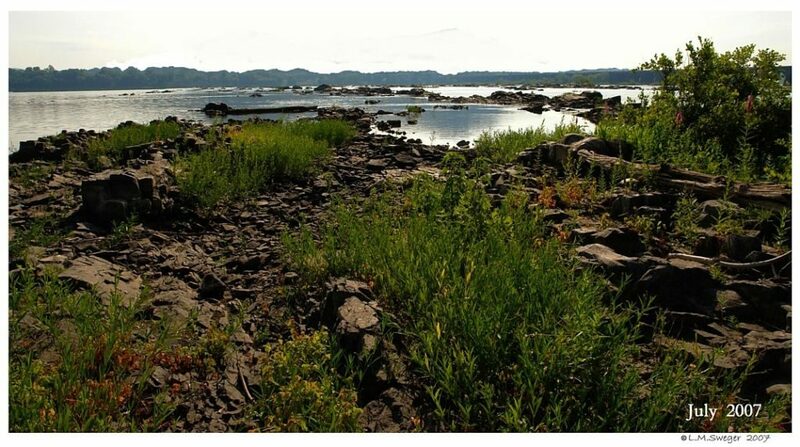 The Region is Treeless. The Growing Season is very short. 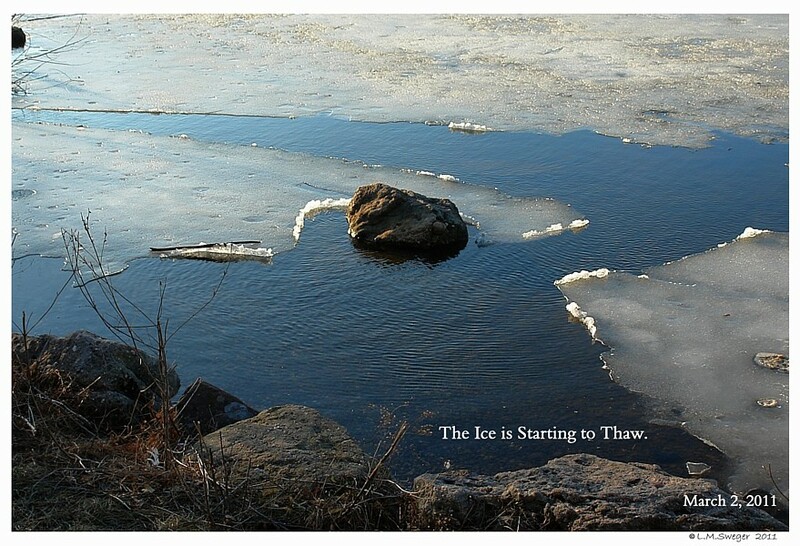 The Winters are LONG and COLD. 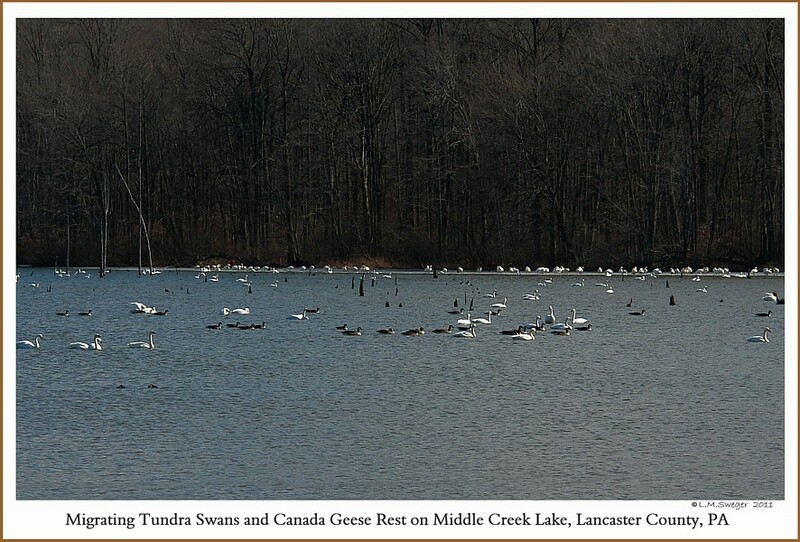 Wildlife include: Tundra Swans, Snow Geese, Assorted Ducks. 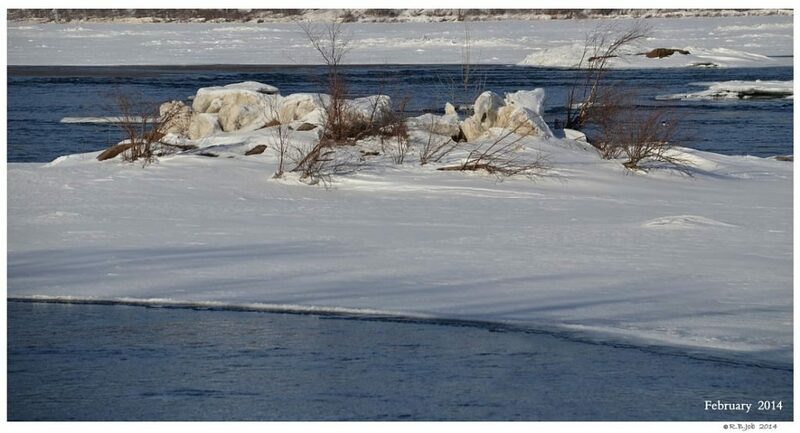 Caribou, Muskoxen, Barren-Ground Grizzly Bears. 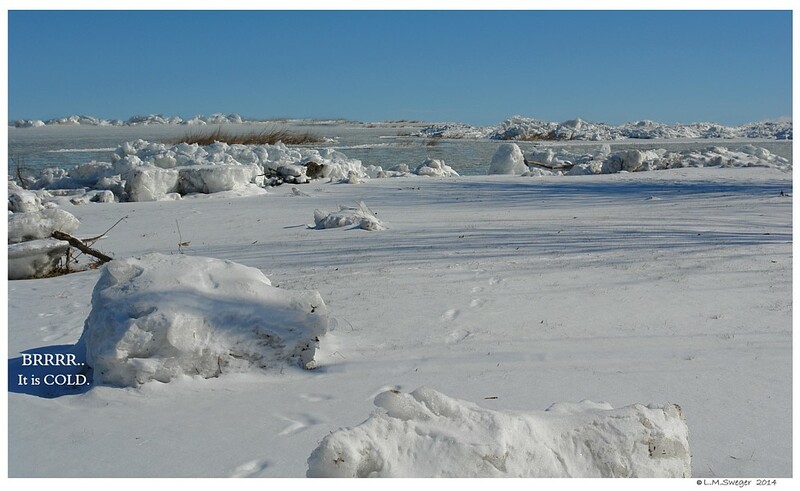 Arctic Hares and Lemmings. AND, Lots of Insects. 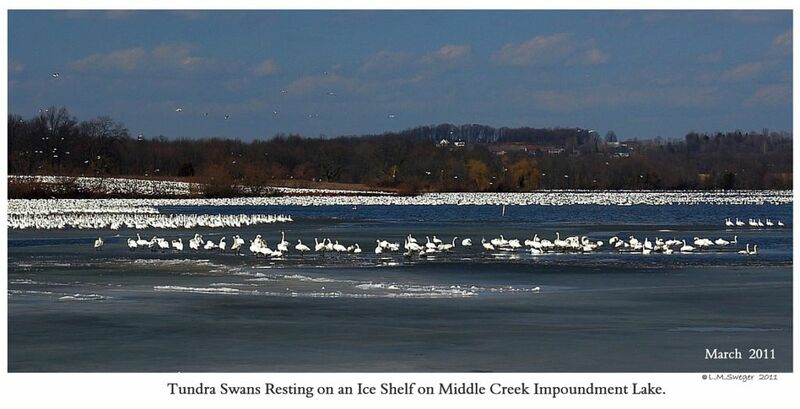 on some Inland Lakes and along Coastal Waters. The Tundra Swans must Nest as early as Possible.. 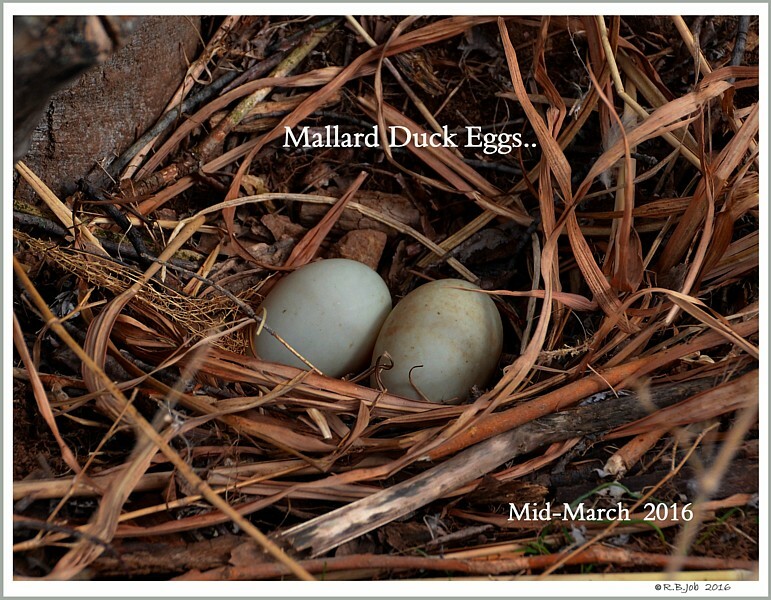 They only have time to Mature One Clutch of Eggs. If this Clutch is Lost, there is not enough time for another. again Fly South. 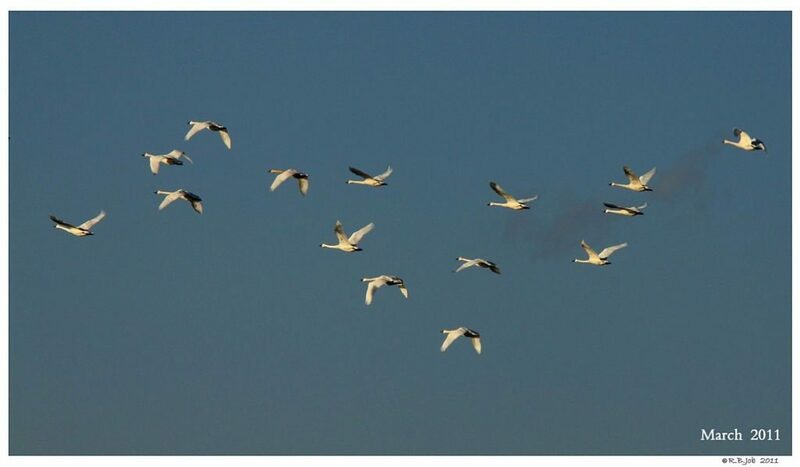 By early September the Cygnets must be fully feathered and able to fly well enough to travel Hundreds to an average of a Thousand Miles with their Parents. 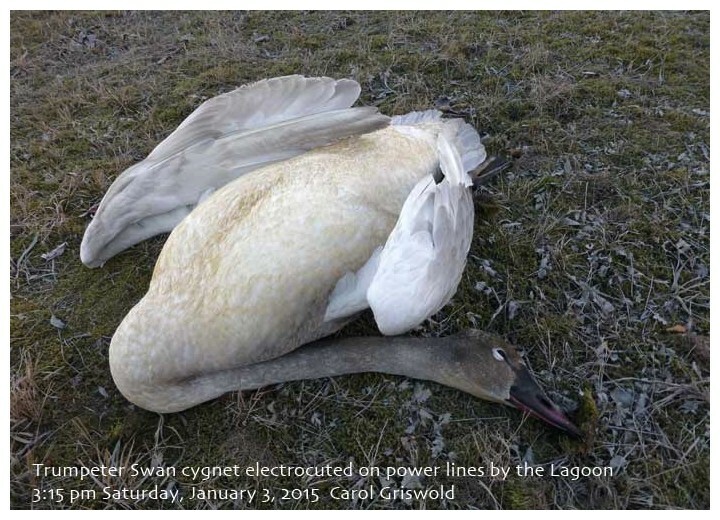 Cold and Starvation claim many young Tundra Cygnets. 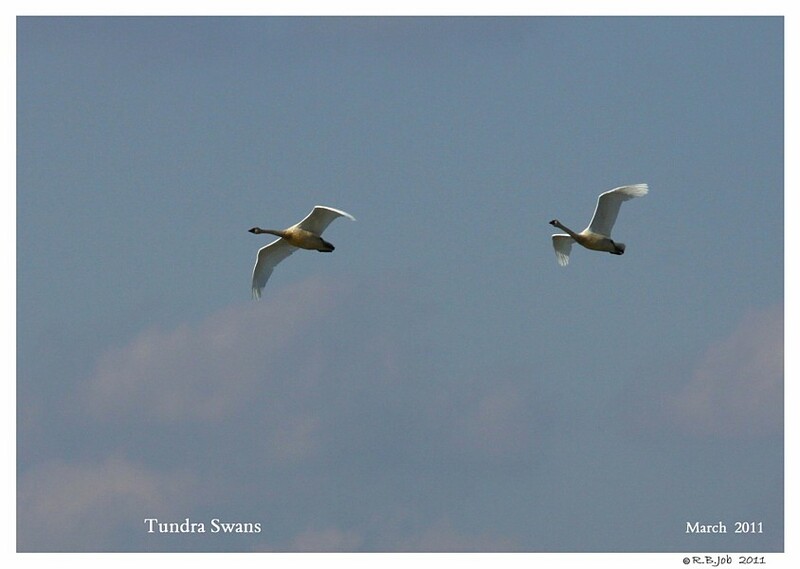 The major Fall Migration of Tundra Swan occurs more to the East in late September to early November. 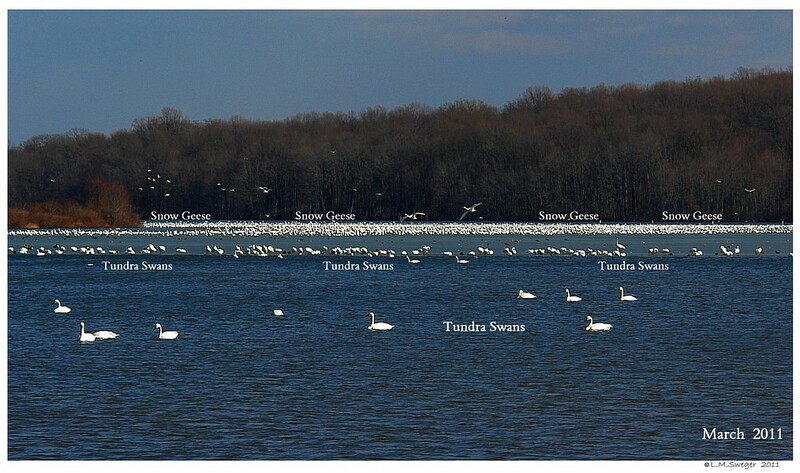 Ontario’s Long Point on the North Shore of Lake Erie, is an important Spring and Autumn Migratory Staging Area for the Eastern Population of Tundra Swans. After Staging, they will fly Day and Night making a non-stop Migration of almost a Thousand Miles to their Wintering Areas. of the Carolinas. 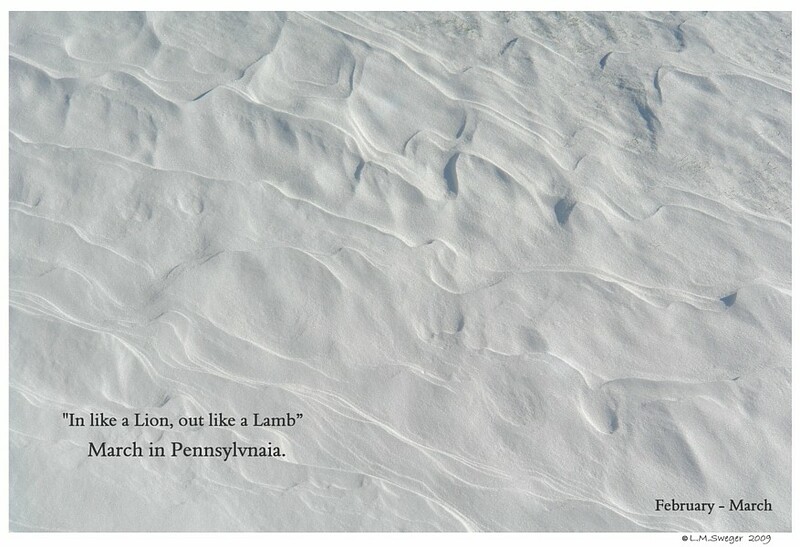 Maybe a few through Eastern PA, not through Central PA. 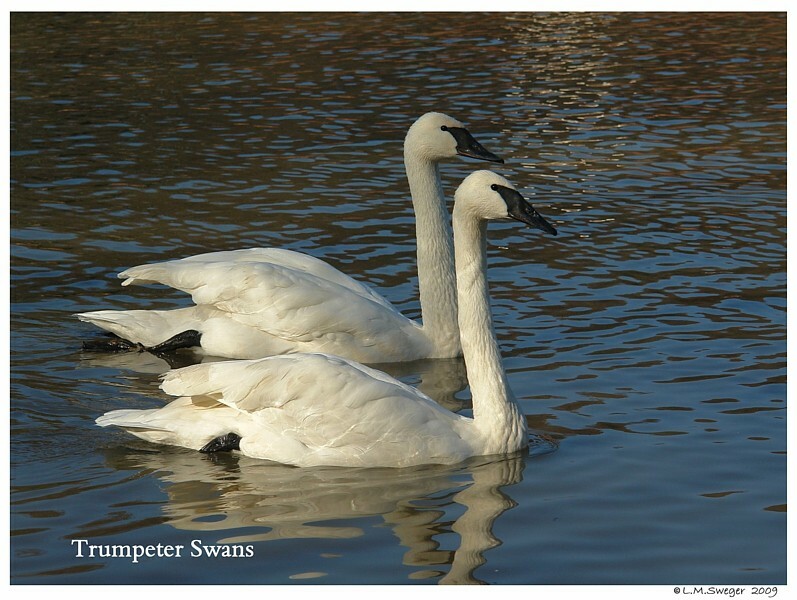 The Parent Swans will take their growing Cygnets on their first Migration. 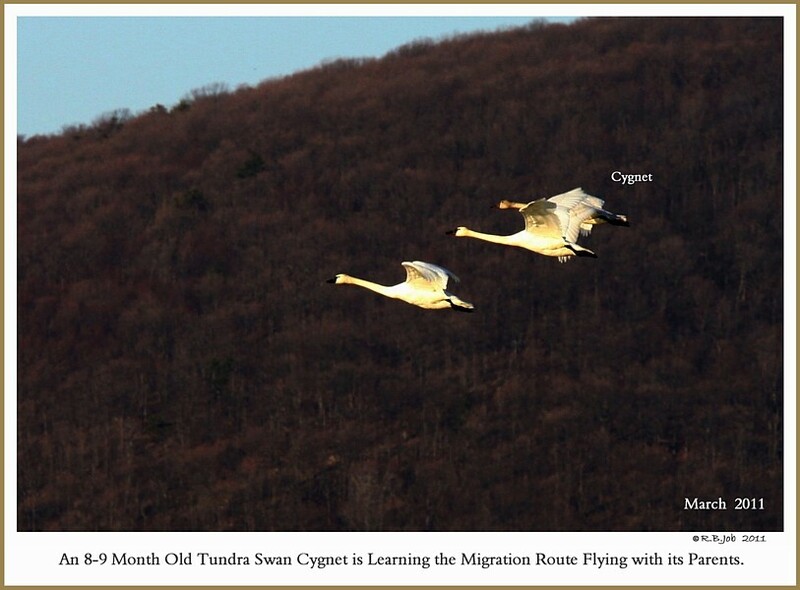 The Cygnets will have just One Round-Trip with their Parents to learn the Migration Route and where to find the Foods they need to survive. 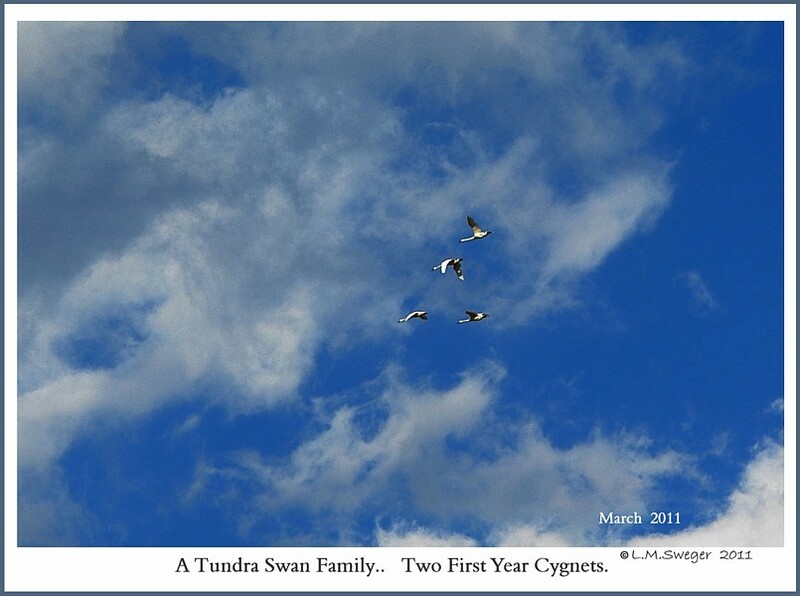 Only the Healthiest Cygnets will complete Migration. 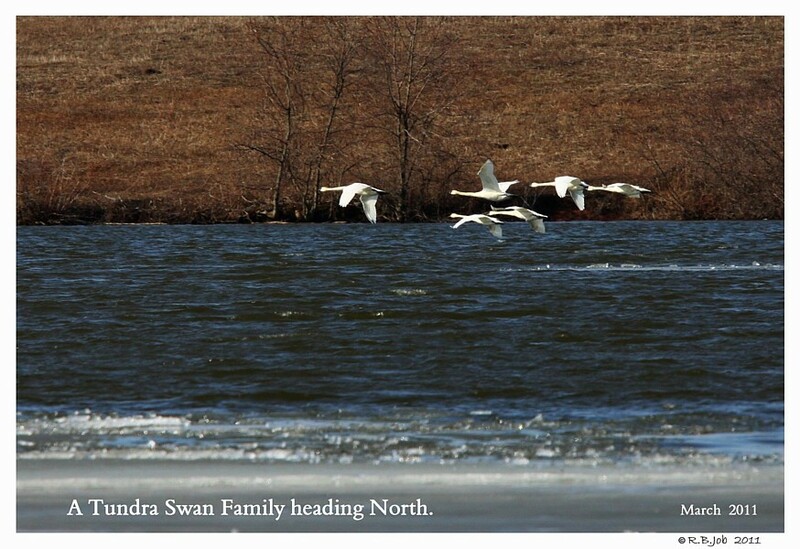 A Study found a 52 Percent Survival Rate for Tundra Swan Cygnets during their first Migration. 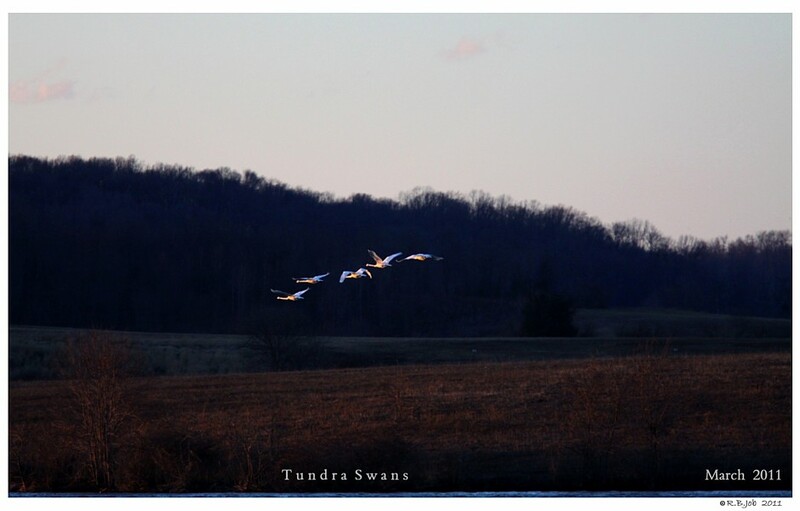 The Tundra Swans may fly Hundreds of Miles by Day and Night. 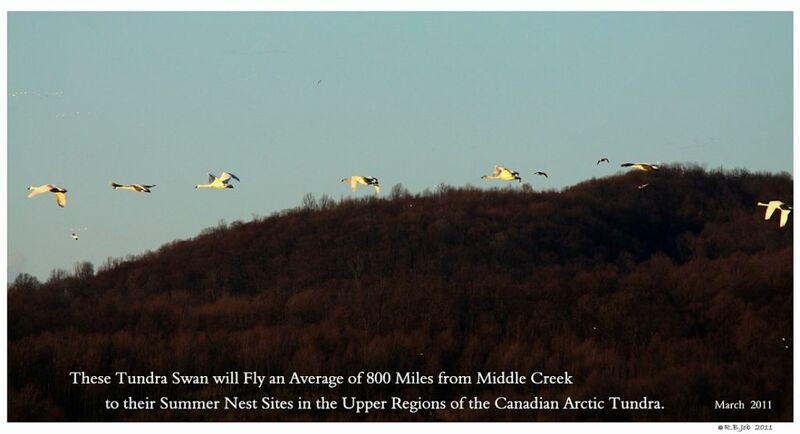 Depending on Headwinds or Tailwinds they will fly about 15 to 60 miles per hour. 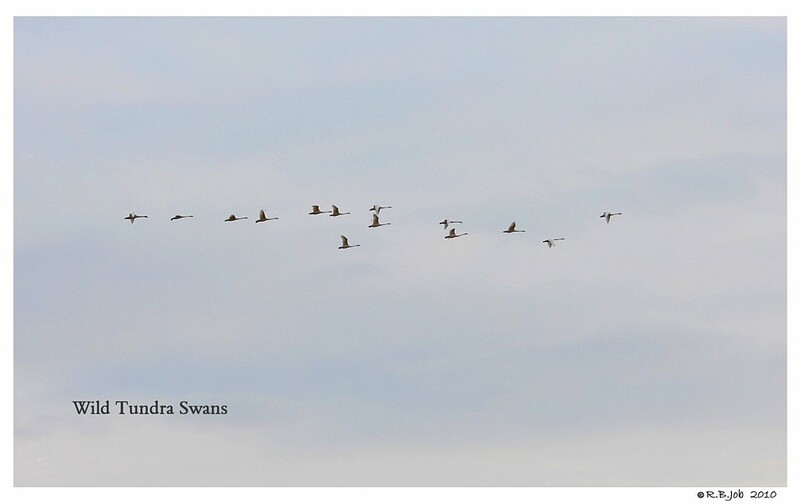 The Long V Formations may be close to a Mile High in the Sky. 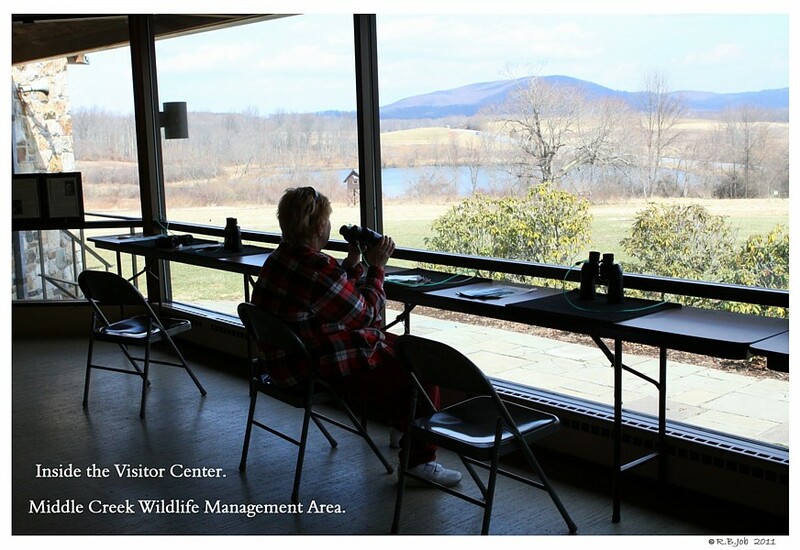 The Spring Migration is a little more Inland with Thousands moving through Central Pennsylvania in February and March on their way back North – up into the Canadian Tundra Regions. 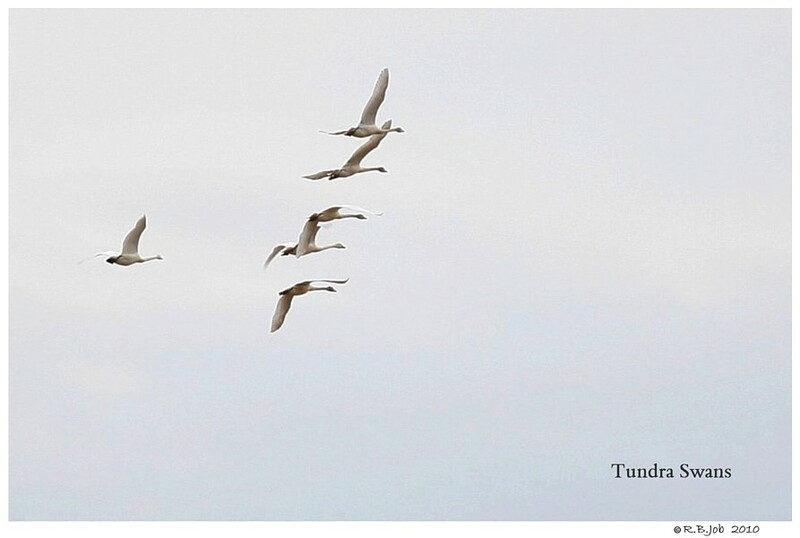 This is a Lovely Video Summary of Tundra Swan Migration. 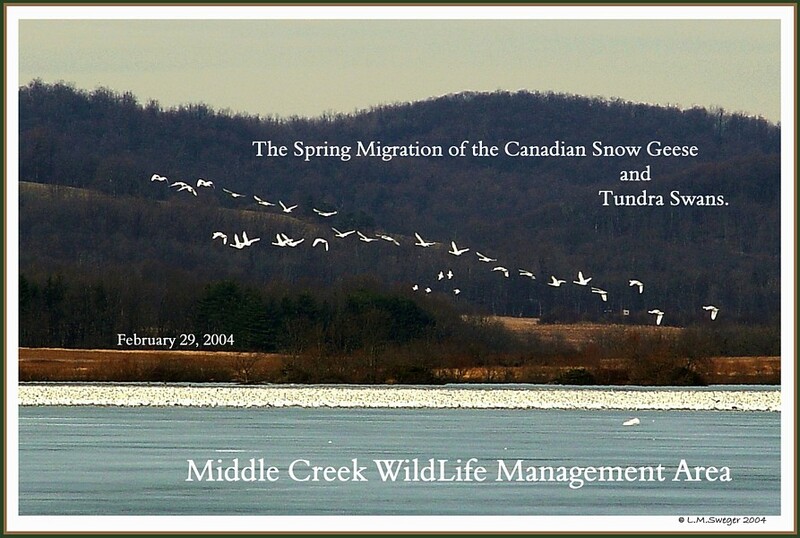 The Start of Migration Activity at Middle Creek makes me Hopeful Milder Weather will begin in our Area after the Long Winter. 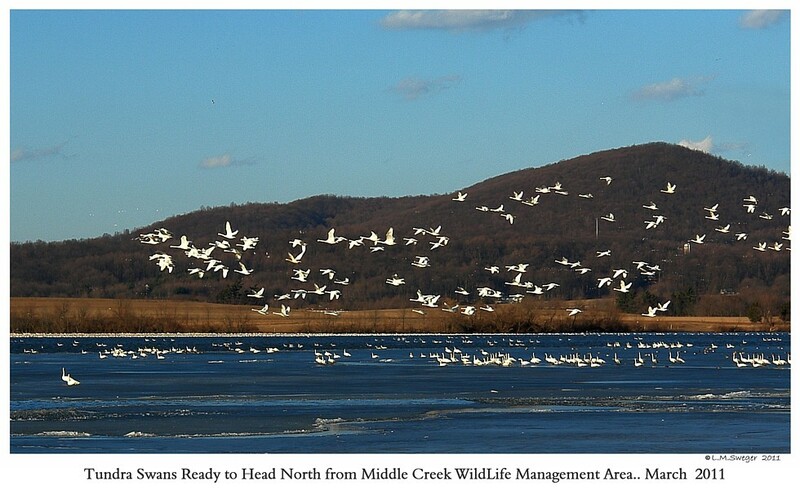 The Birds will Generally move North as the Waters they depend on are Thawing. 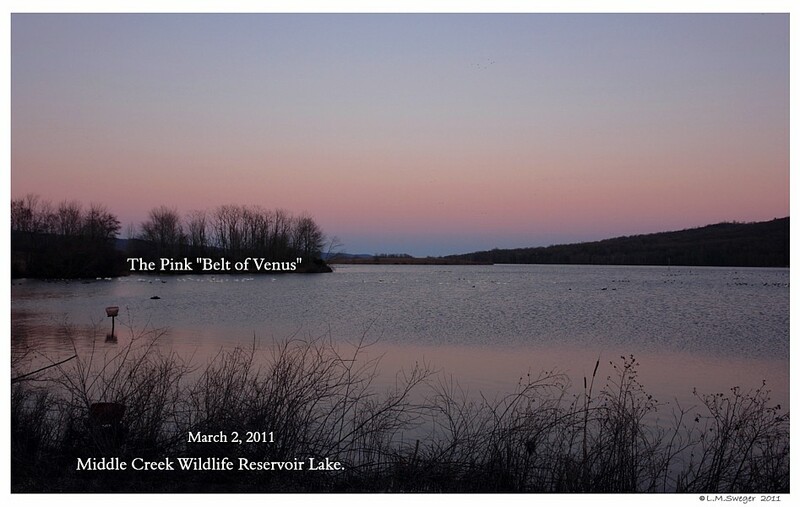 I always wonder – How do they know ?? 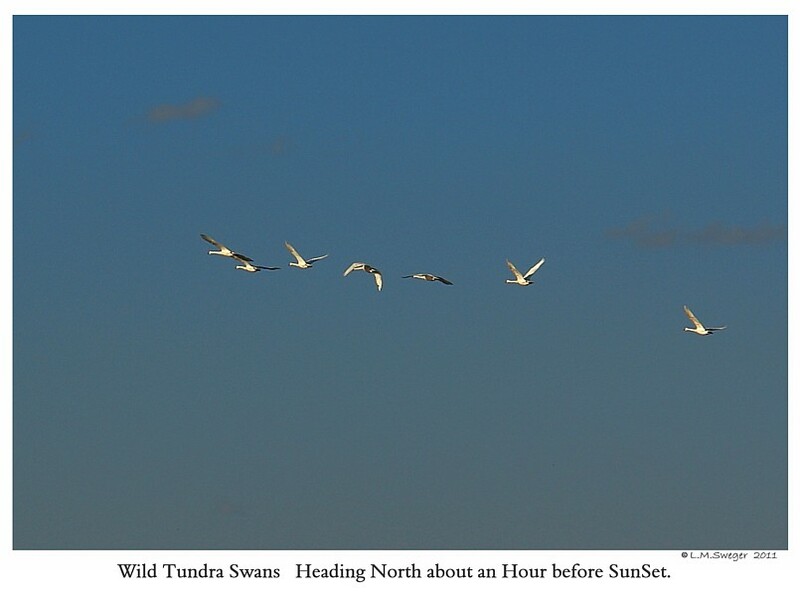 Large Wedges of Tundra Swans may take Flight at SunSet heading North.. 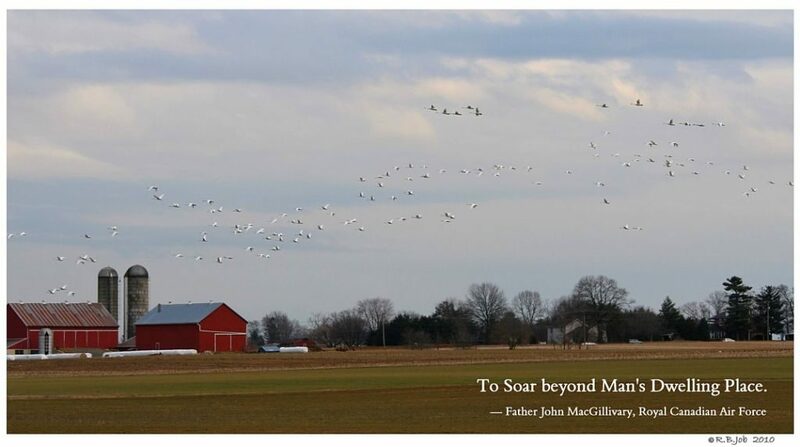 They will fly many Miles through the Dark of Night. 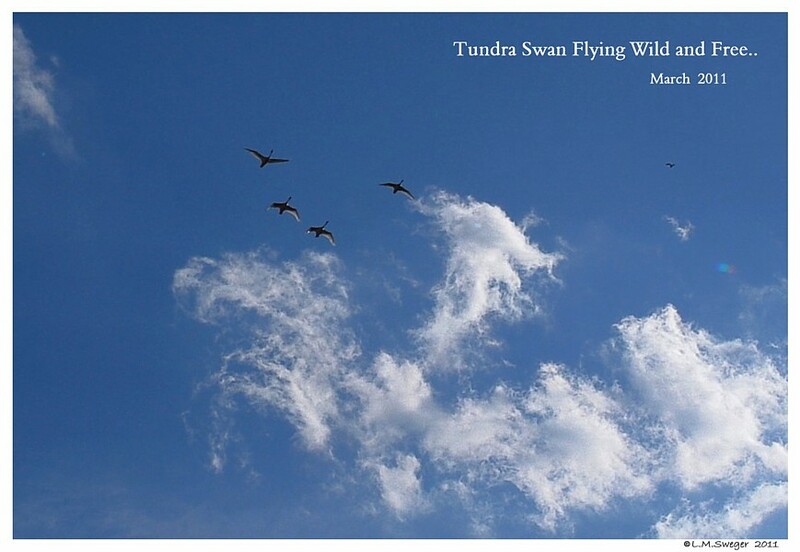 You may hear a Flock of Tundra Swans flying at Night as their Whistling Calls float through the Cool Air. 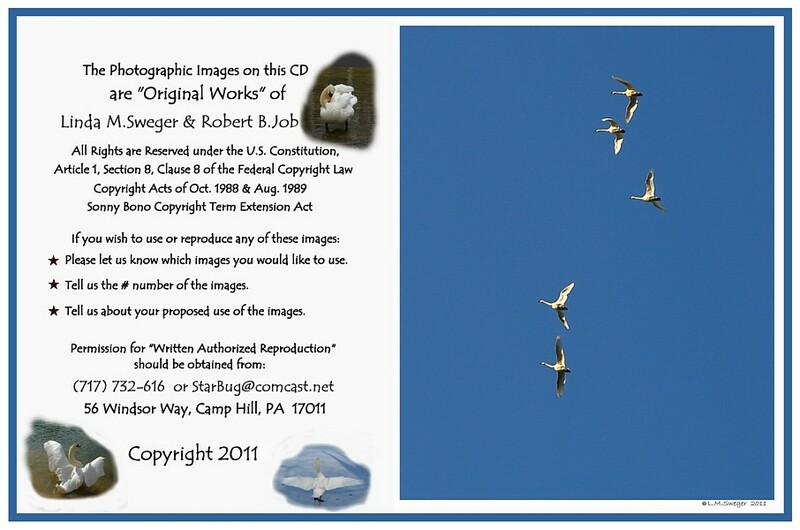 To hear their Vocal Call … Check this Site – Link. 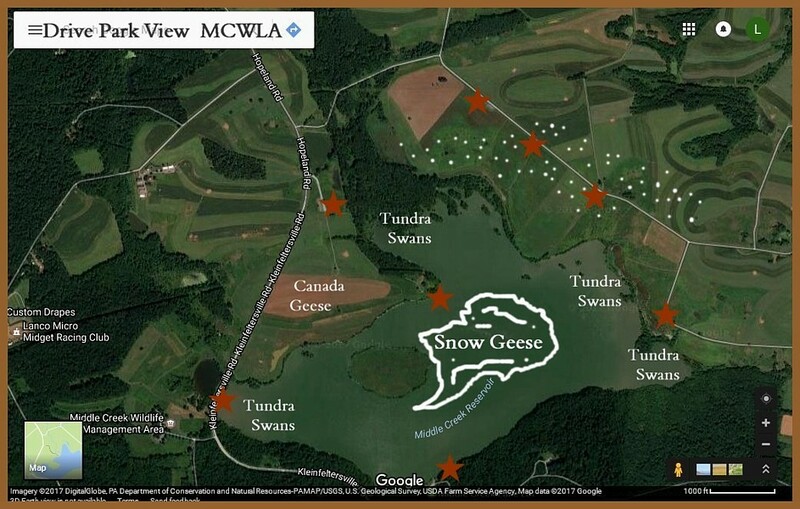 There is a Green Button to Activate the Tundra Swans’ Call. If you have a bit of Luck and a Flashlight in hand.. Shine a Beam of Light up under the Swans as they move overhead. 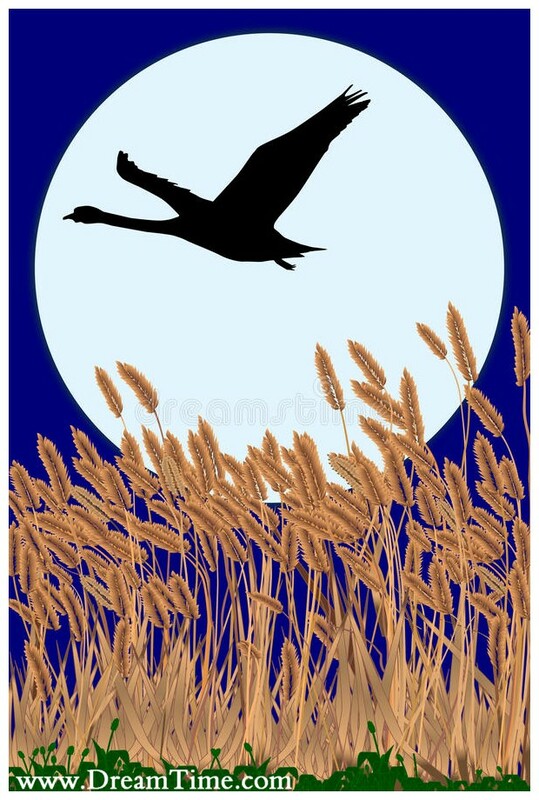 It is a thrill to witness this Seasonal Nocturnal Event. 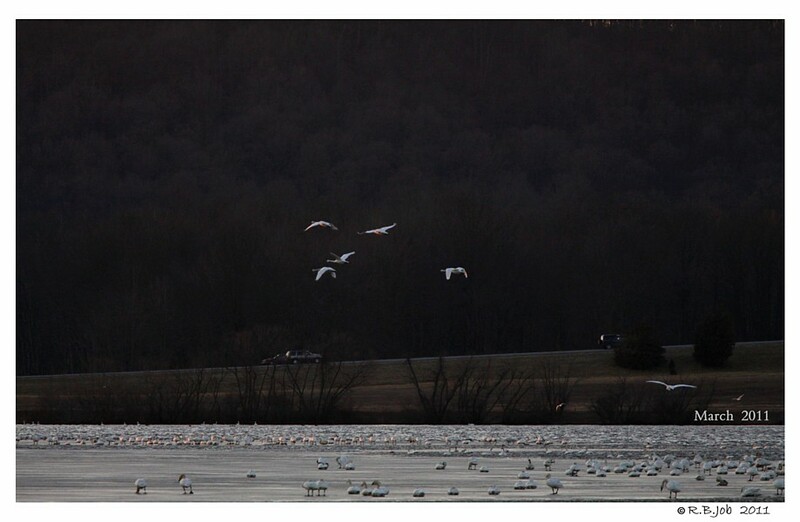 With Binoculars you may get to see Migrating Birds flying across the Moon. 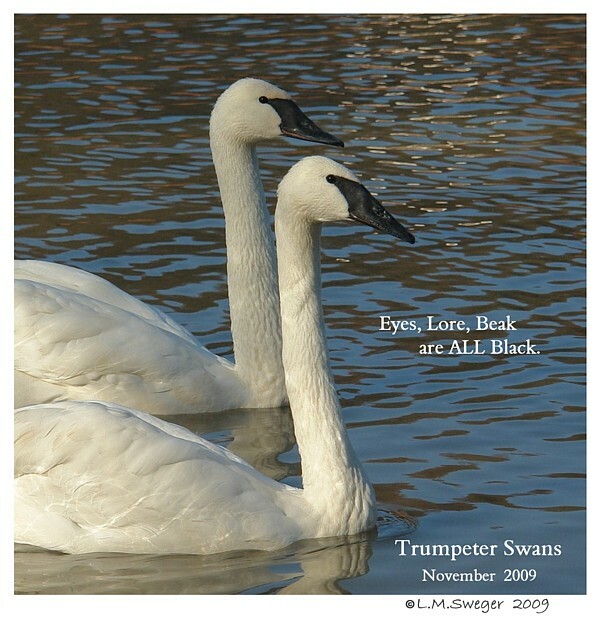 At this Link you can HEAR the Tundra Swans in a Flock.. 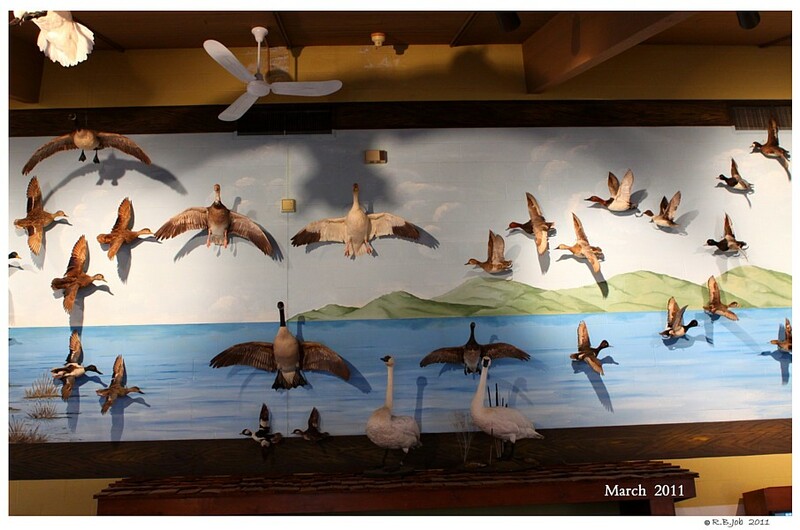 There is a VOCAL Strip to the Right of the Photos..
800-1000 Miles is the Average Distance from Middle Creek to their Tundra Nesting Regions. 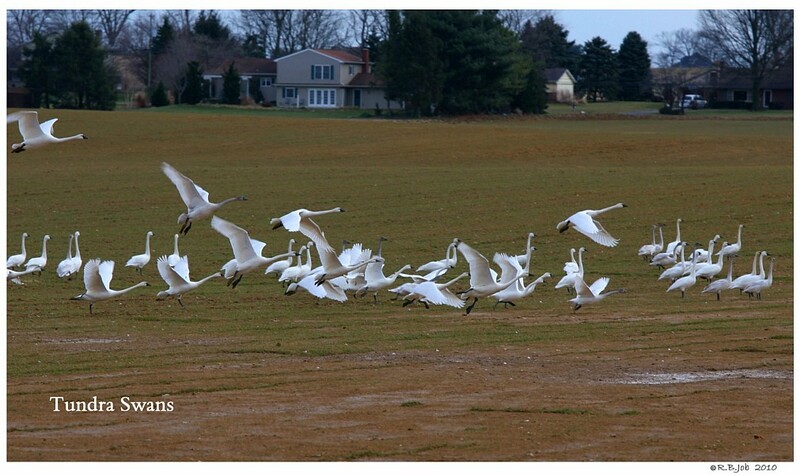 Taking Wing for their Home, Tundra Swans will arrive by Mid-May.. 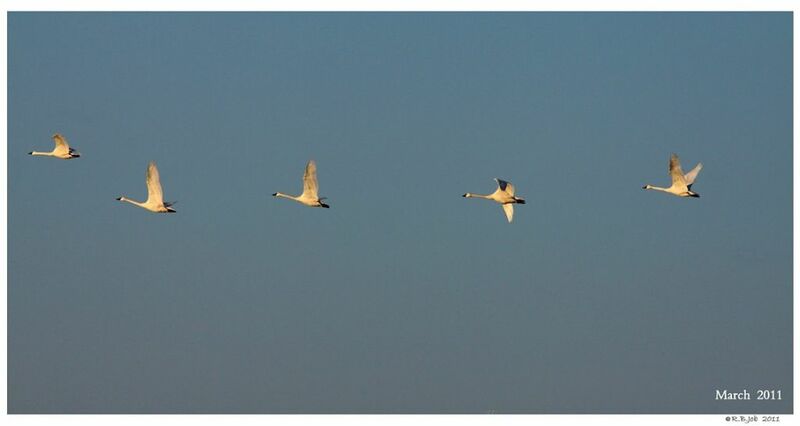 The Parent Swans will arrive unaccompanied by last Year’s Young. 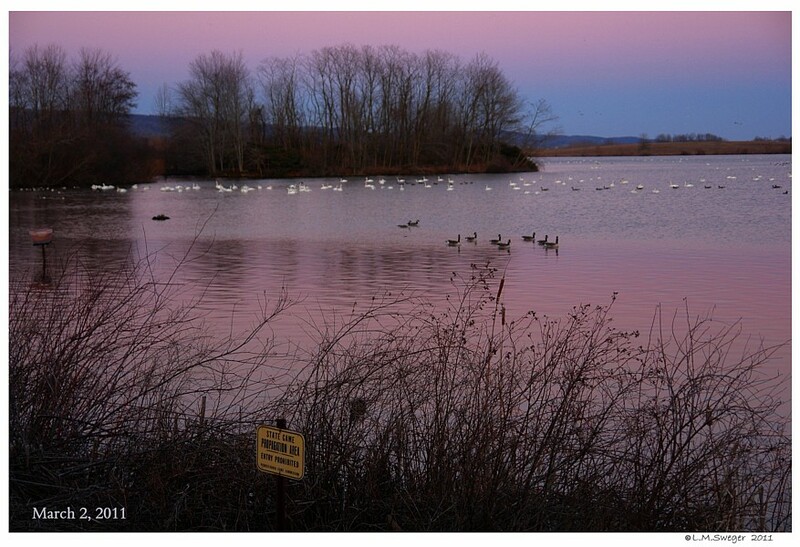 The Young Non-Breeding Swans will gather in Juvenile Groups and Flocks.. They are no longer Welcome to be with their Parents. 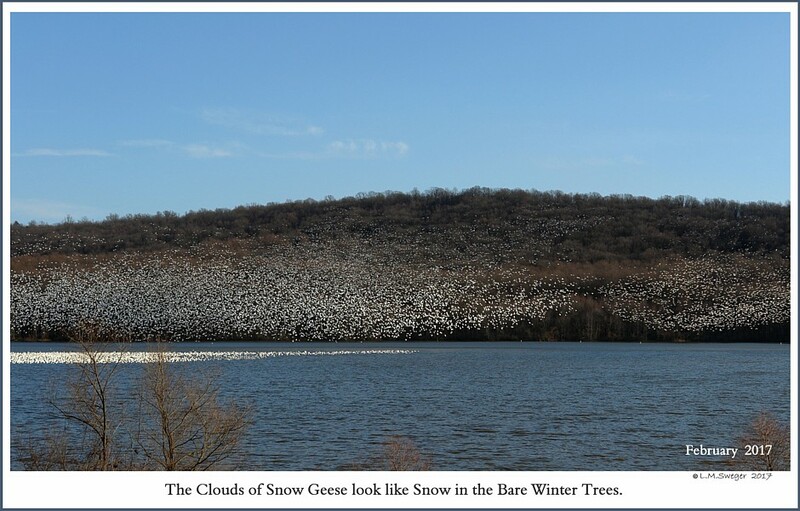 The Snow Geese will also fly North to the Arctic and Subarctic Regions of North America where they will Nest during the Spring and Summer Months. 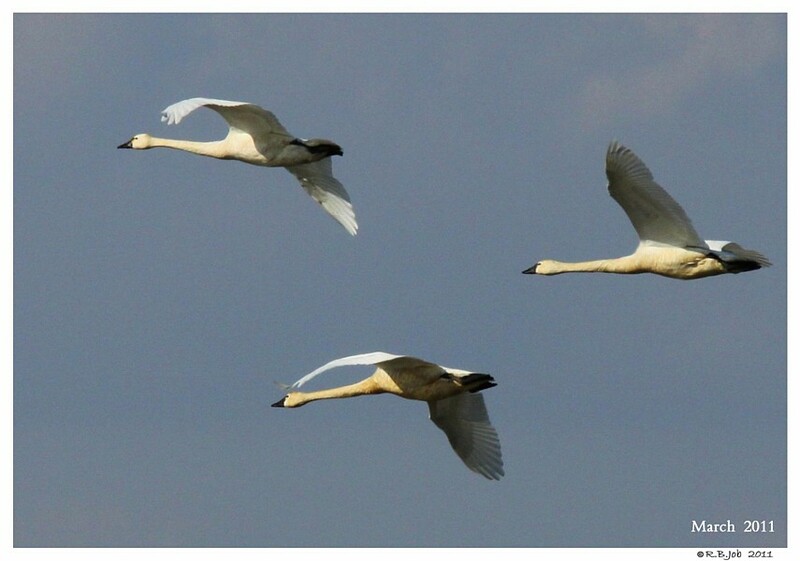 When I first started to learn about Mute Swans..
the thought of Pinioning them was so sad..
To take their Flight away.. 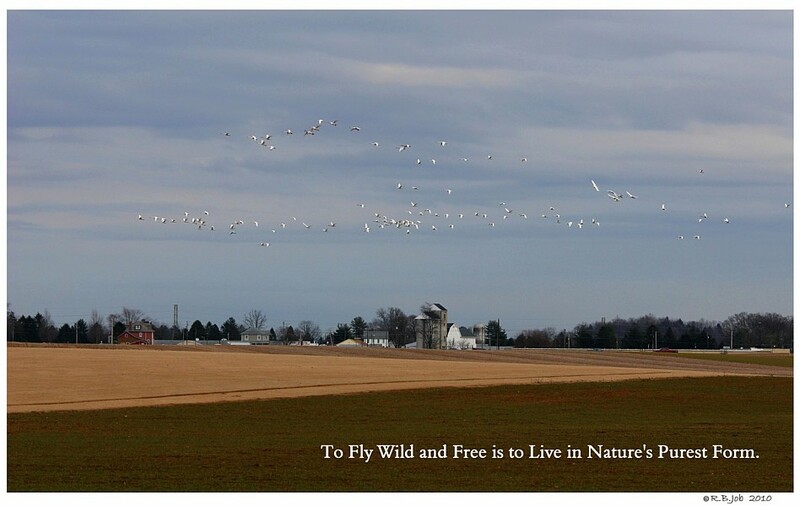 The Freedom and Joy they must feel as they Fly Naturally About. 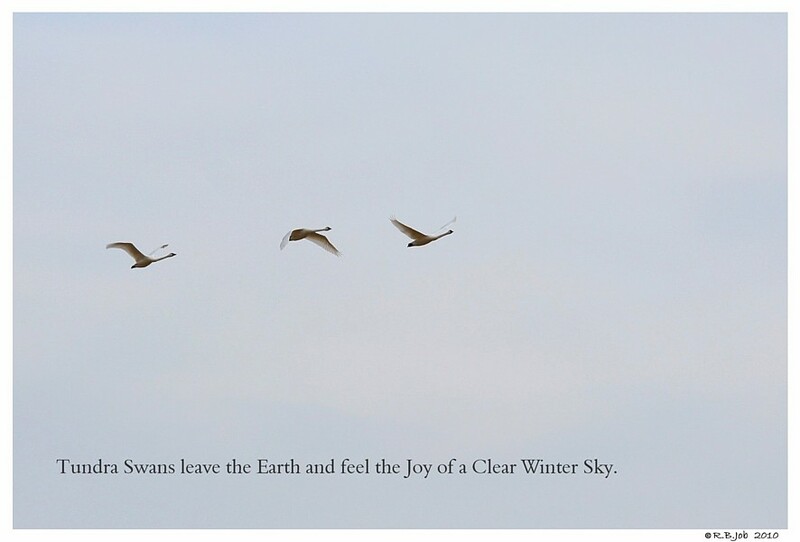 Swans Evolved to Float and Fly. 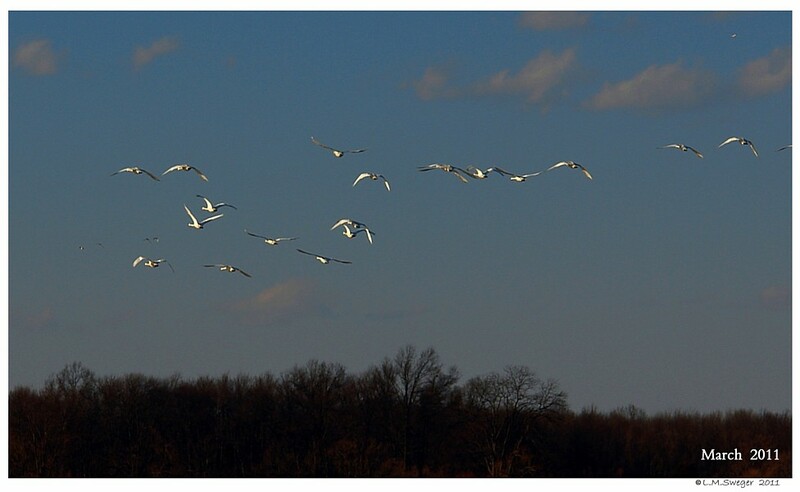 Pinion or at least Clipping is necessary for their safety..
Middle Creek to see Wild Migrating Tundra Swans in Flight. 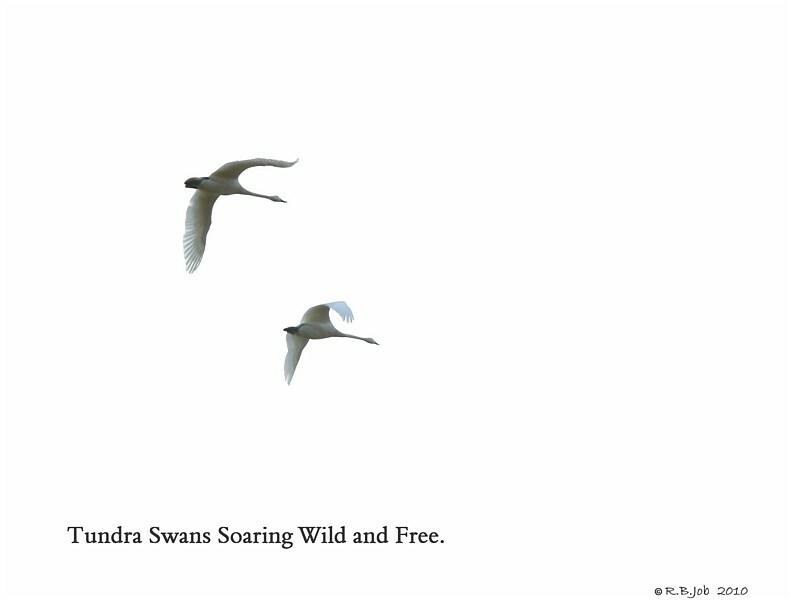 Federally Protected, Tundra Swans live Wild and Free. 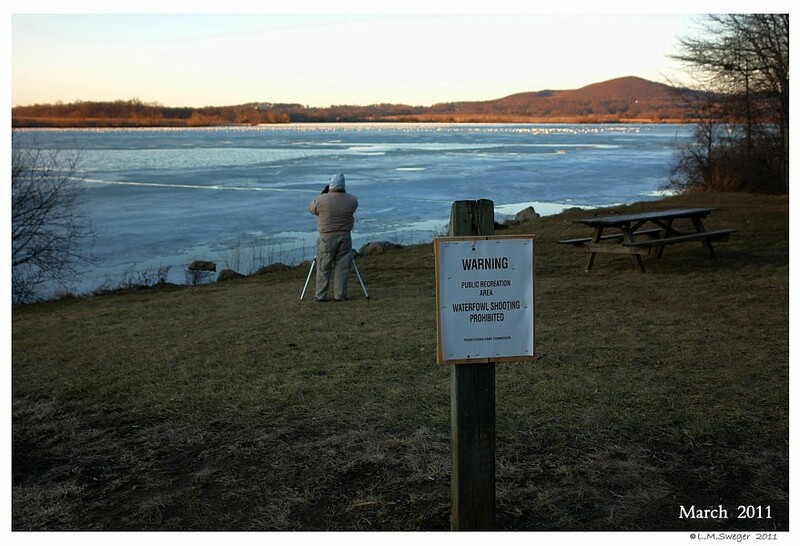 Hunting Tundra or Trumpeter Swans is Prohibited in PA. Sadly, that is not the same for Feral Mute Swans. 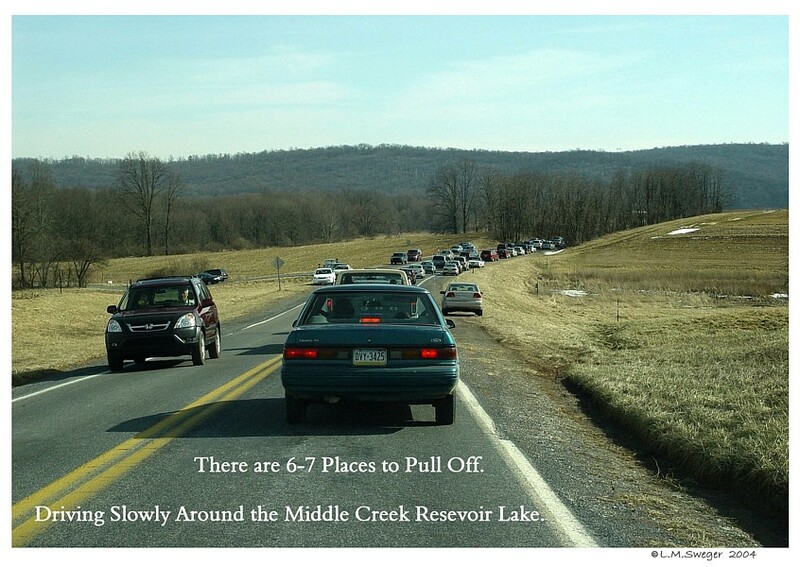 On a nice Weekend the Roads around Middle Creek are Jammed with Visitors from all over the East Coast when the Migration is in Progress..
We watch for Fair Weather and visit during the Week. 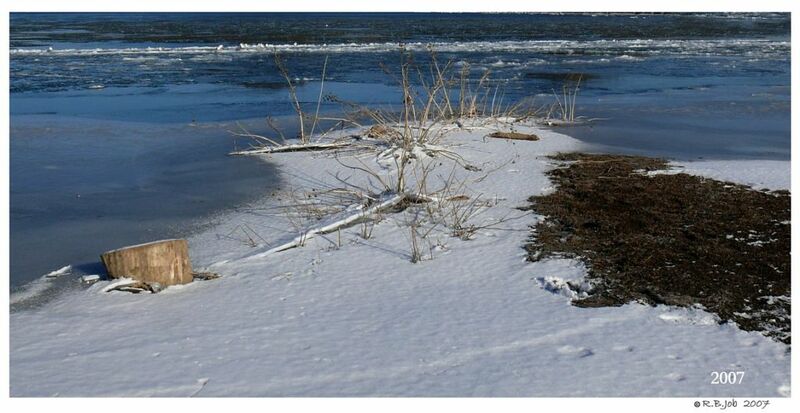 Take Warm Clothing, Binoculars, Camera Equipment, Snacks. It is Picnic/or Brown Bag only place. 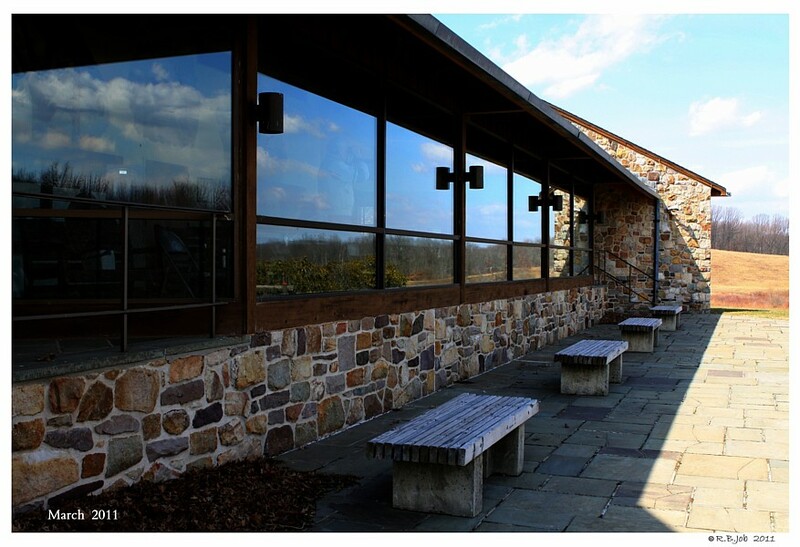 Rest Rooms are in the Visitors Center.. 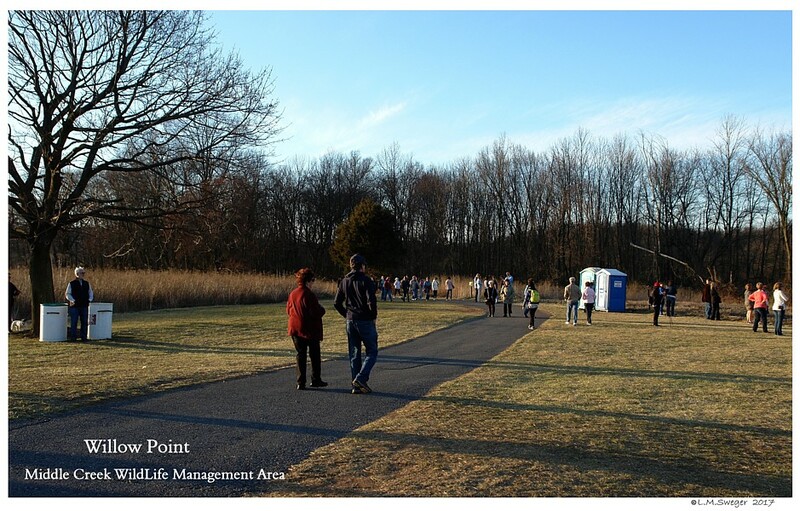 There may be Port-a-Pots out at Willow Point. 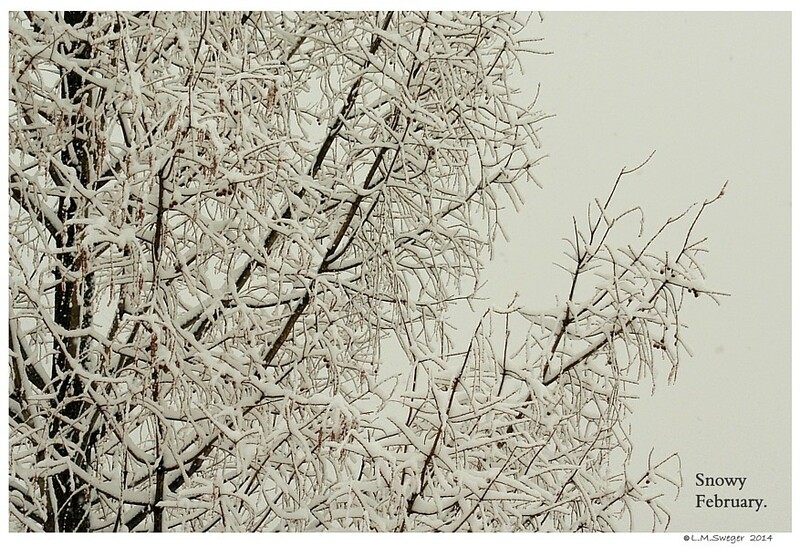 Seasonal.. 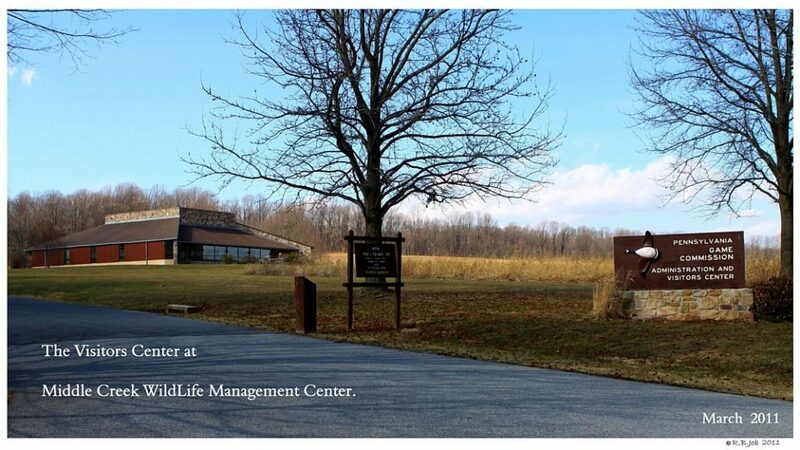 The Main Public Road through the Management area, Klinefeltersville Road is Open all Year.. Millstone Road on the South Side of the Lake is also Open with a Parking Area by the Lake. 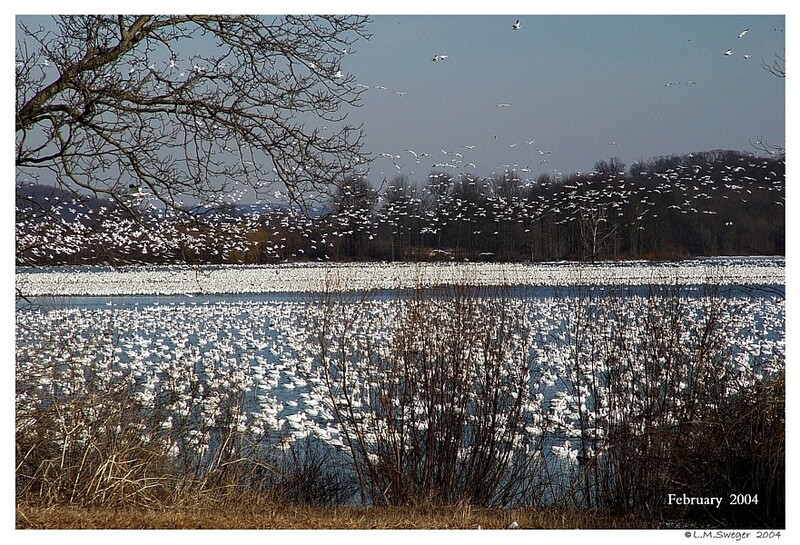 There is a Walking Path, Willow Point Trail, to view areas of the 380 plus Acre Lake..
Great Viewing of the Snow Geese.. 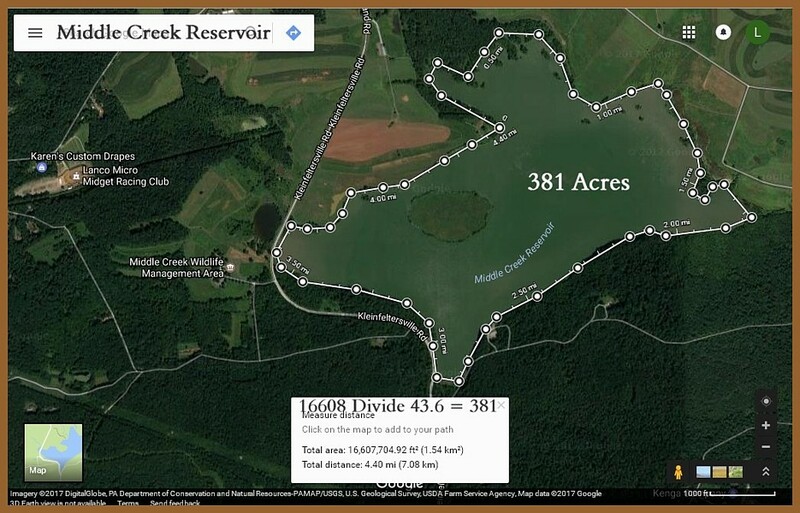 Strollers – Walkers – Wheel Chair Accessible. 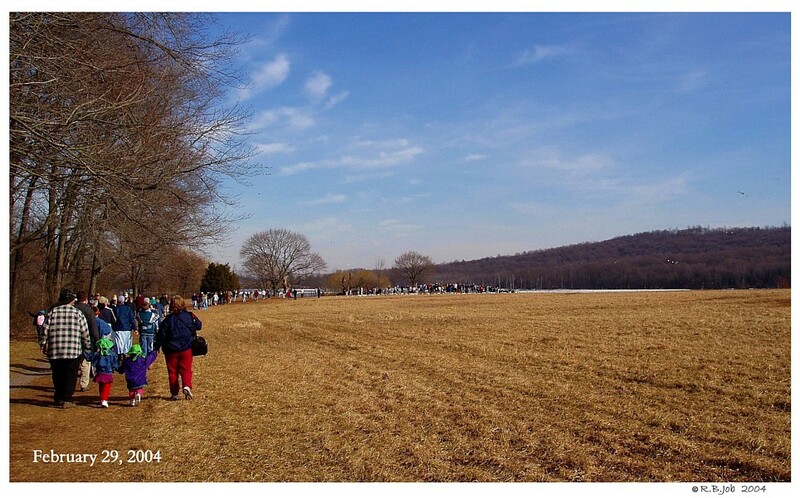 It is 0.44 Mile from the Parking Lot to the Viewing Area. 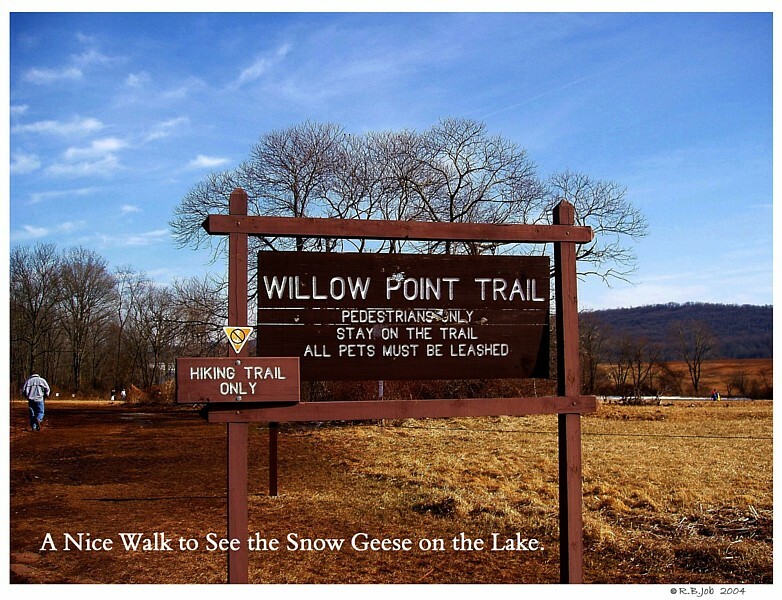 During Late Fall through the Winter Months..
Willow Point Walking Trail may be Closed to the Public due to Hunting Season. 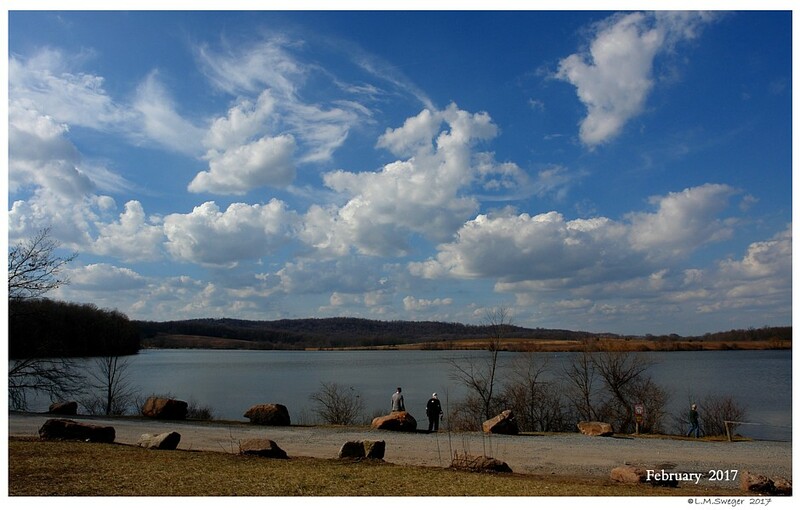 ALL the Roads around the Lake are OPEN most Years from March 1st.. through September 15-30th. 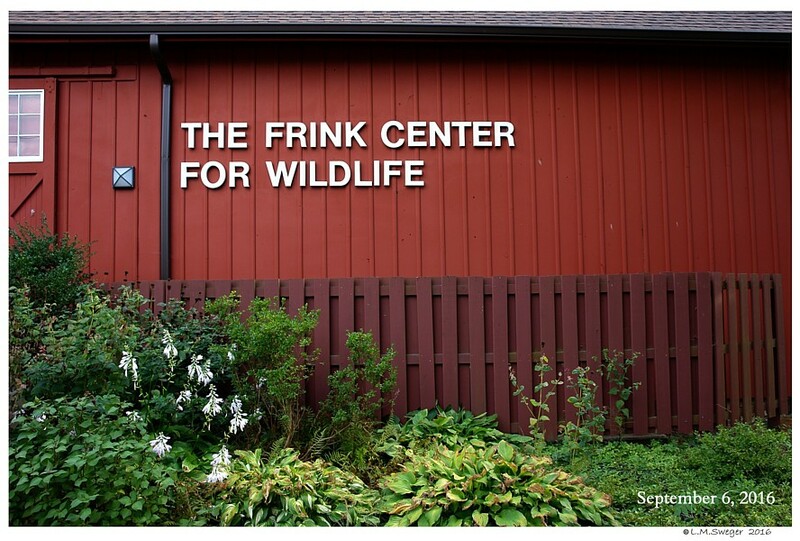 Then Closed for the Winter Months. 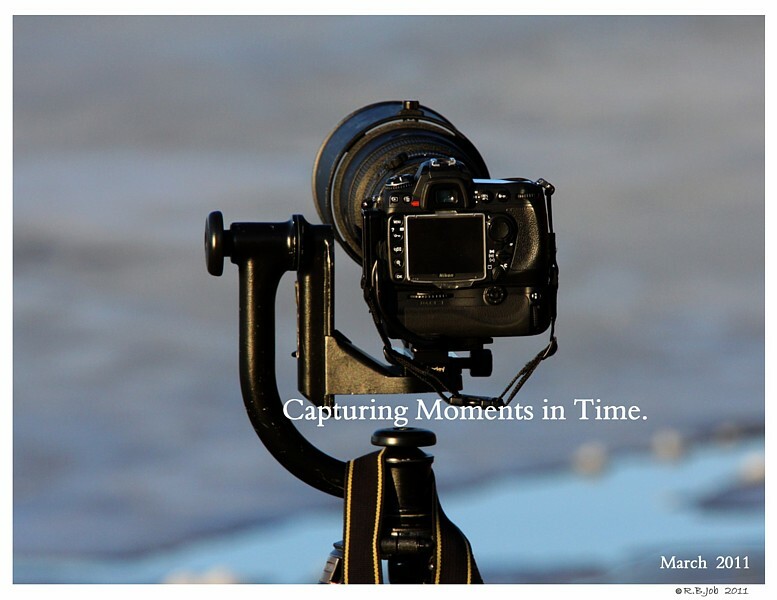 The Best Time for us to Visit is usually after March 1st. 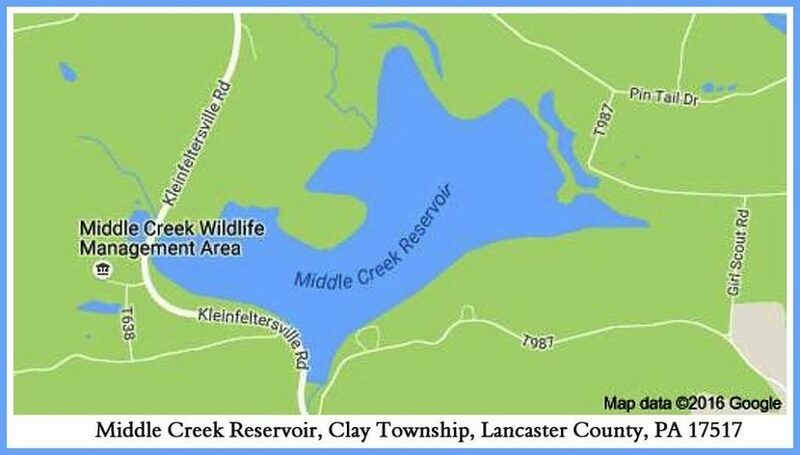 The Driving Tour Roads that run through the interior part of Middle Creek are closed from September 15-30th to March 1st to all traffic. There is NO Foot or Bicycle Traffic allowed during this time. 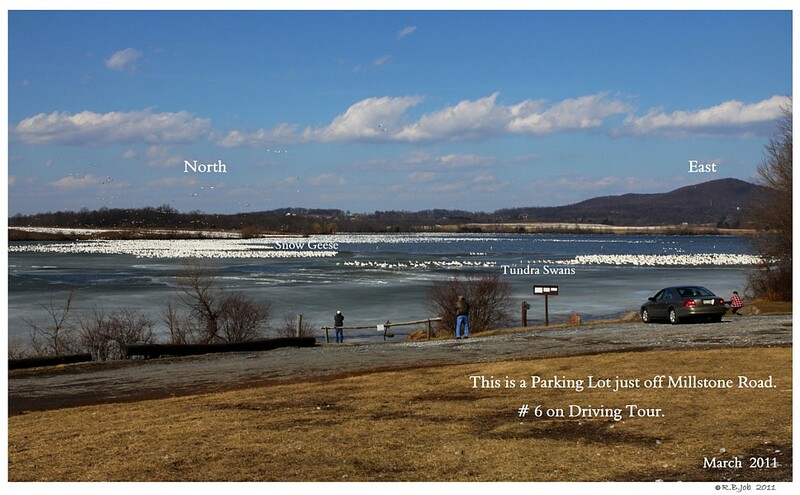 The Driving Tour Roads Open on March 1st most years, if the Weather Conditions are acceptable. 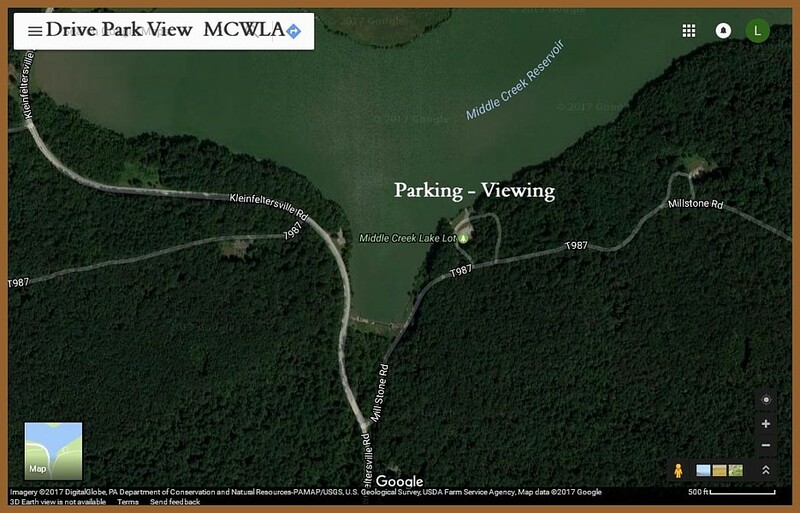 This allows Visitors to drive around the MCWLA Reservoir Lake. 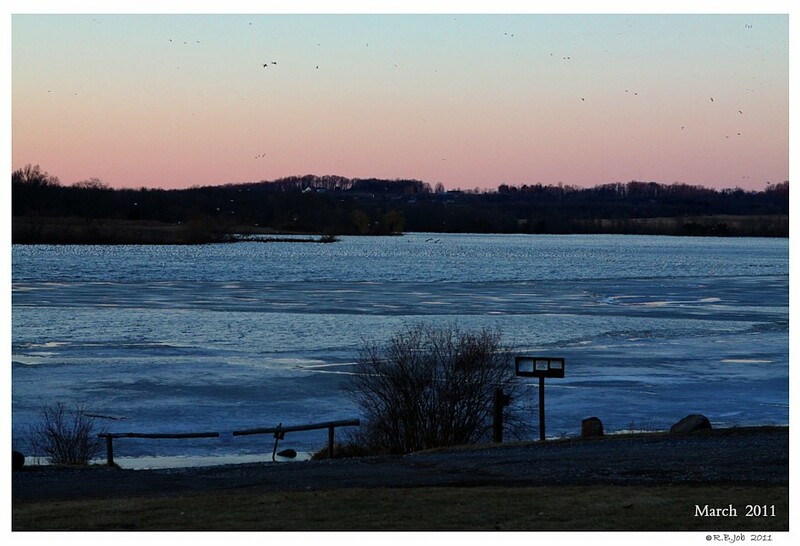 Several Parking Areas provide viewing from different angles to the Lake. 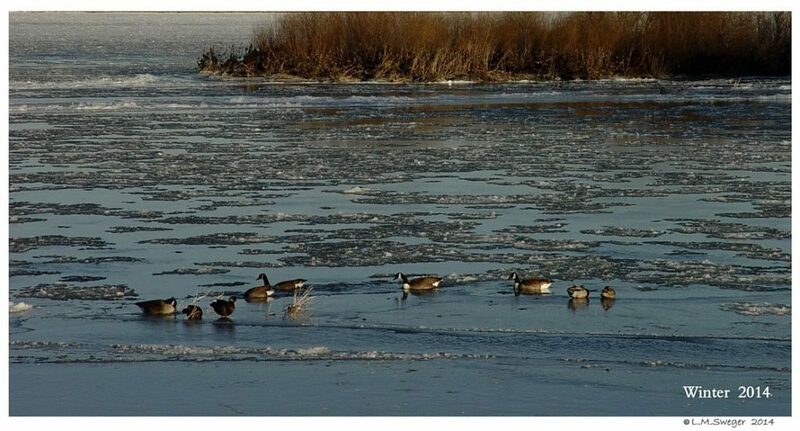 The Waterfowl will favor the areas of Open Water as the Lake is Thawing. 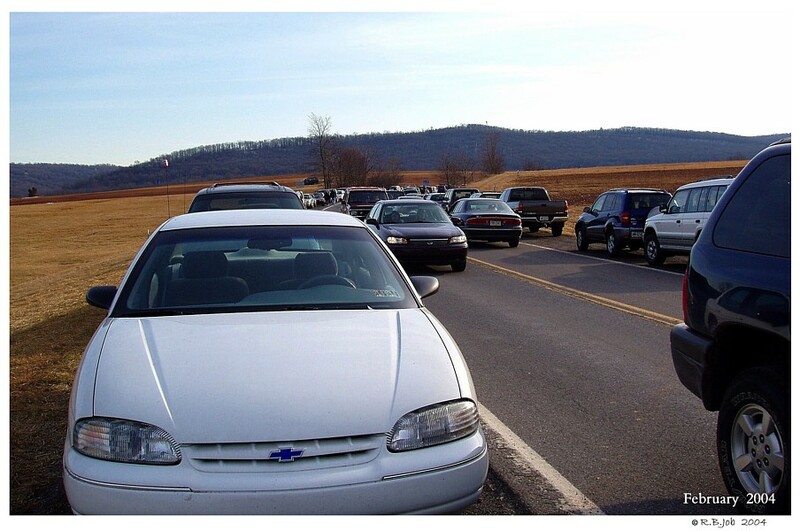 Check for any UpDates for the Tour Roads Opening. 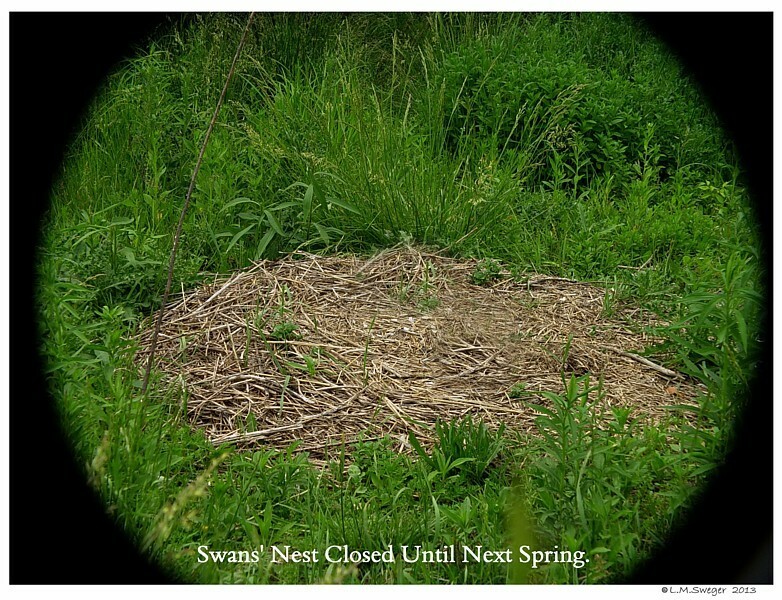 Some years this may be delayed due to Snow on the Ground. 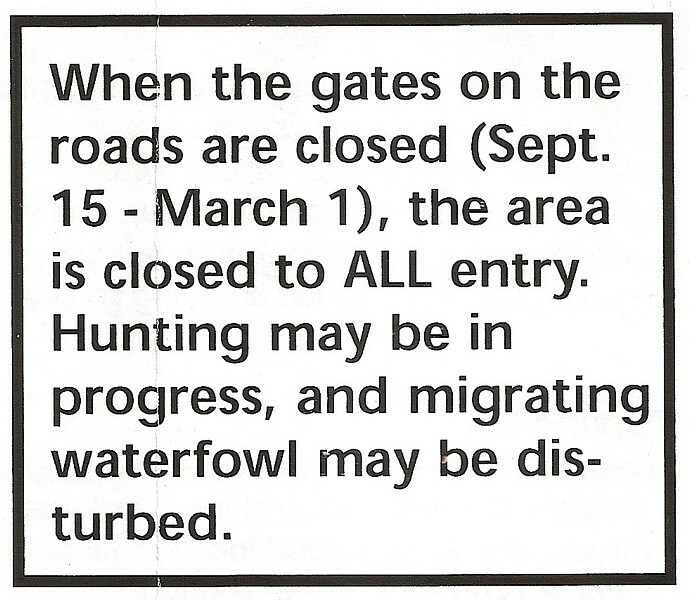 (They do not Plow this Road) This would disturb the Birds… Respect the Restricted Area. 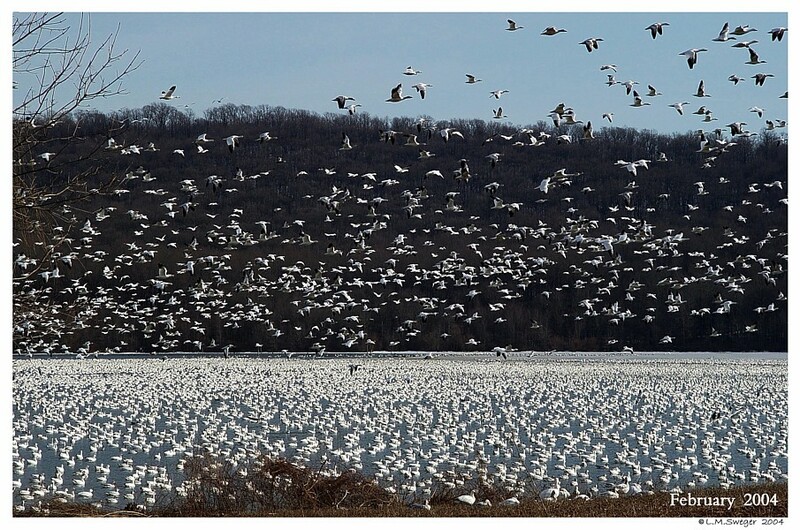 Traveling Flocks of Waterfowl arrive at Middle Creek Lake..
Large Flocks of the Waterfowl will spend time away from the Middle Creek Reservoir Lake during the Day. 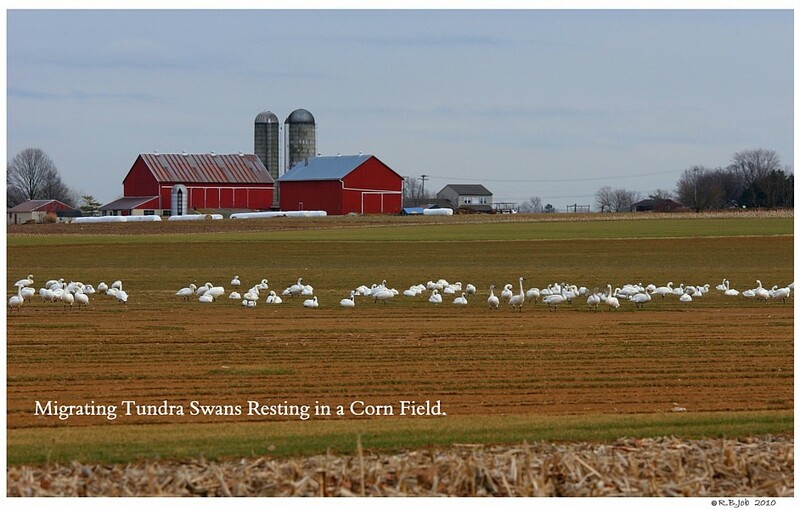 Grazing in Grain and Corn Fields and on Ponds of Local Farms. 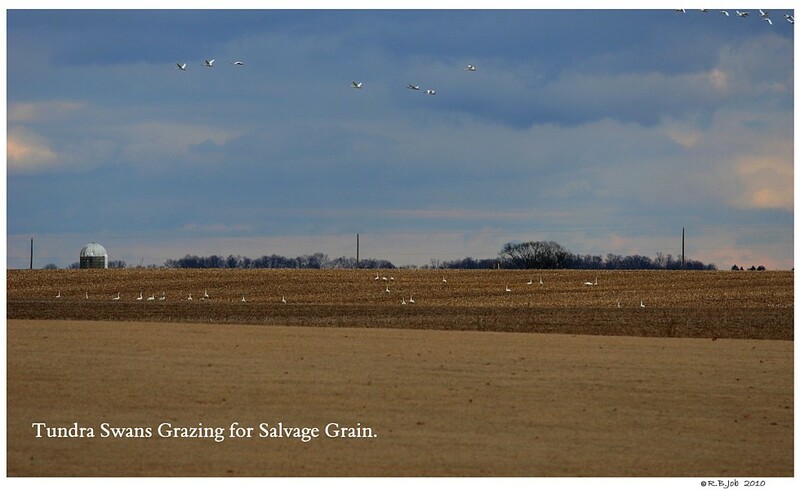 The Birds will forage in Farm Fields, picking up Salvage Corn and other Grains left after the Fall Harvest. 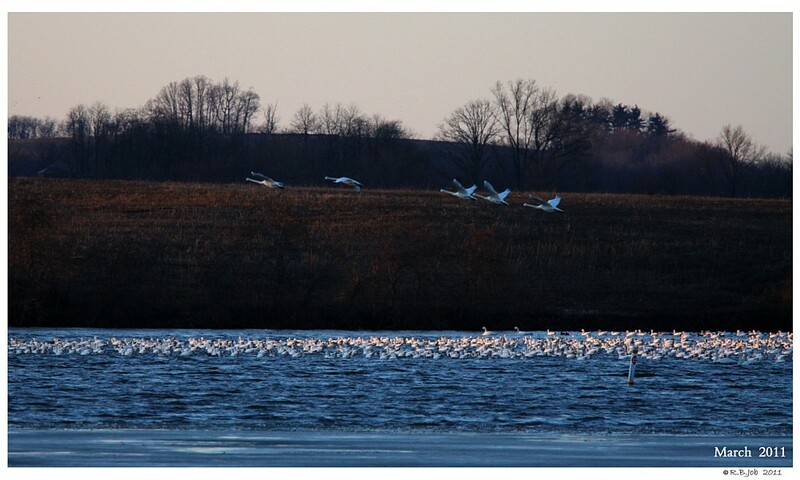 They may feed on Winter Grain Crops – Wheat, Rye and Barley. 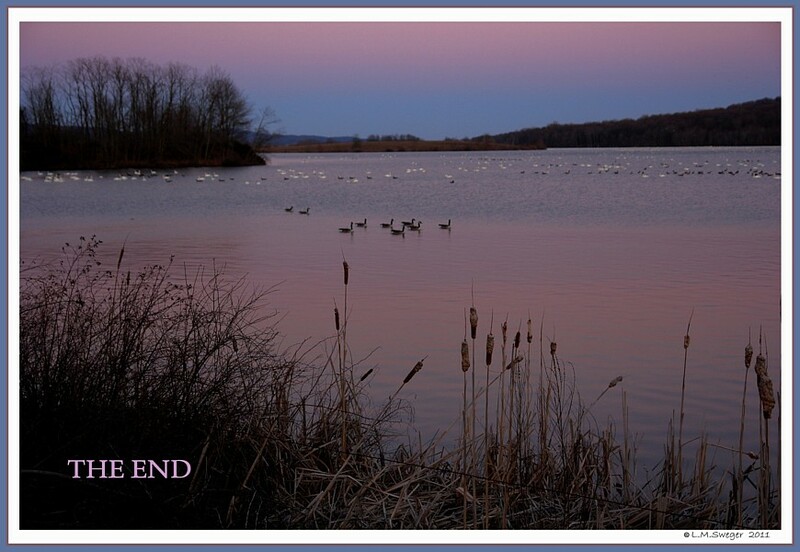 Many Flocks will returning to the Middle Creek Lake around SunSet. 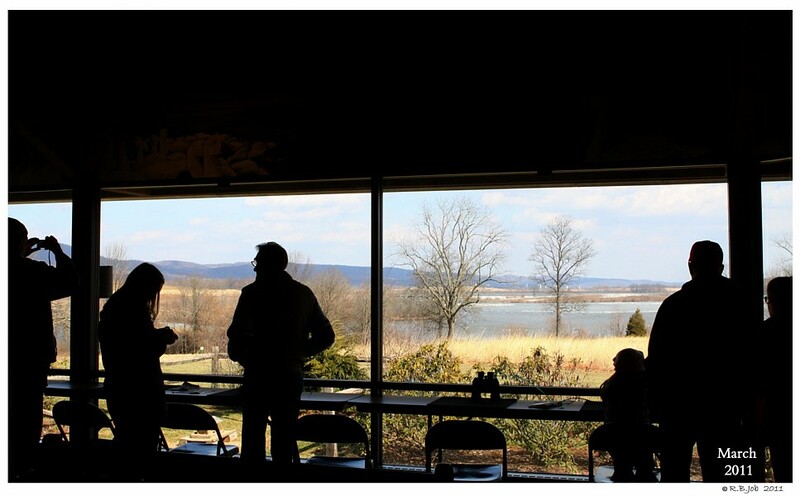 The Magic of this Spring Day just left on Wing. 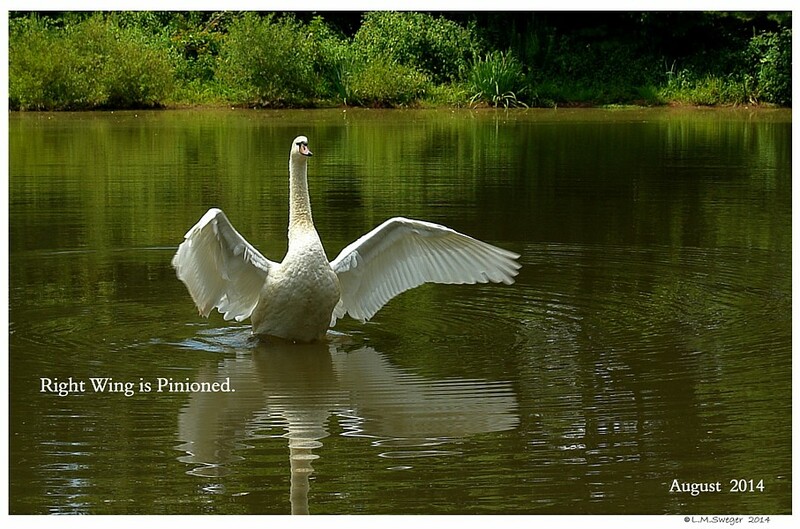 I Fix my Gaze on the Individual Swans as they move further away.. 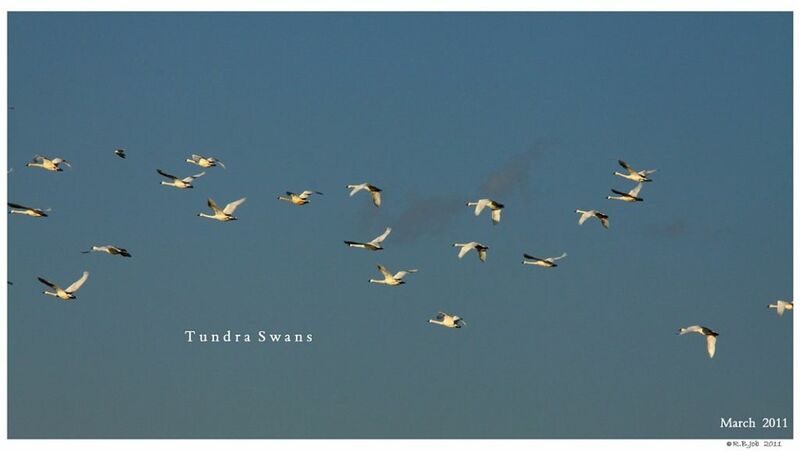 I want to hold these images in my Memories..
Magic is Flying Away.. They are going to their own Destiny. they are lifting higher into the Colored Rays of the Setting Sun. They will soon be the best Sight in the Late Afternoon Light.. 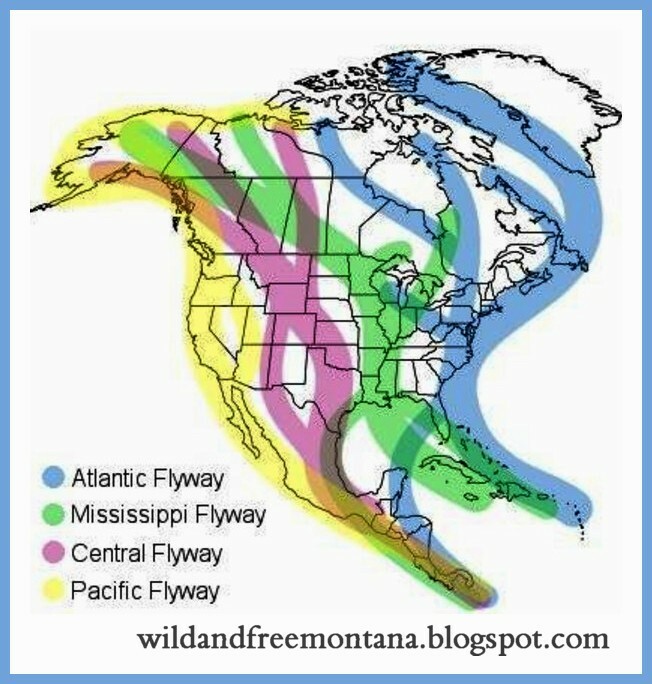 I Wonder – How do they Know the Way.. ? 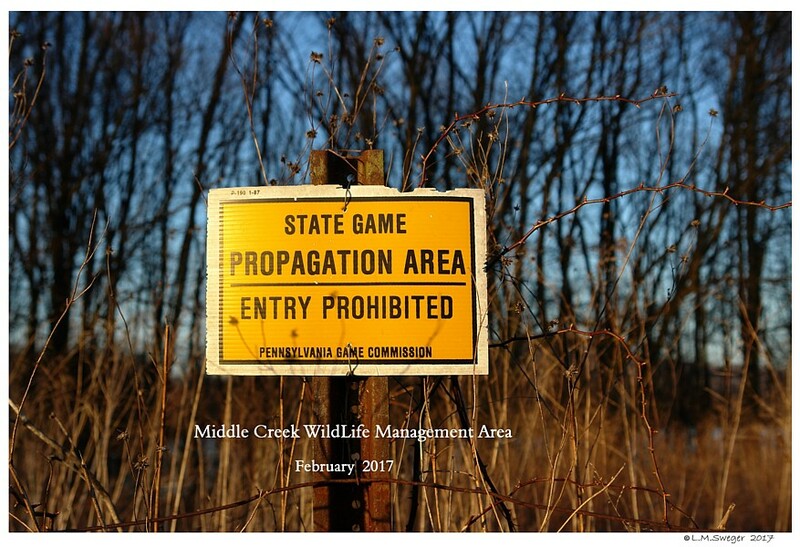 How do they Know when to Go…? From here their Home is over 800 Miles North. 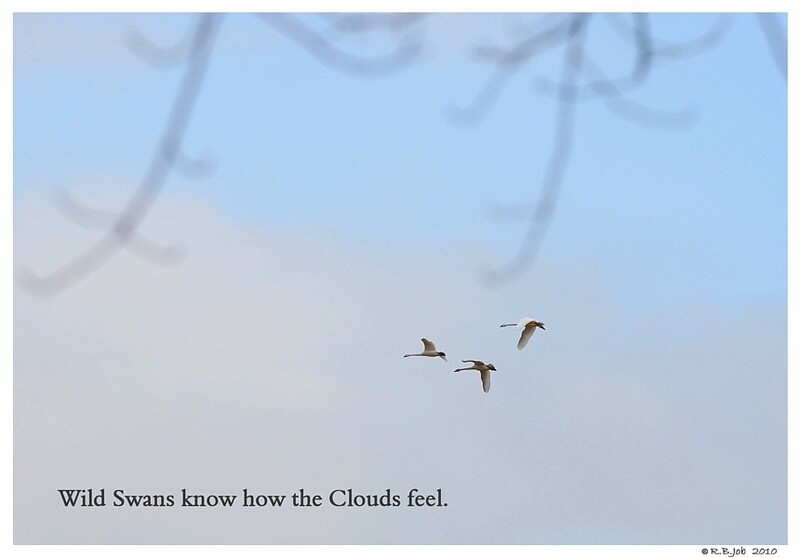 What Urge inside makes the First Swan get up and Run UP into the Sky.. ?? 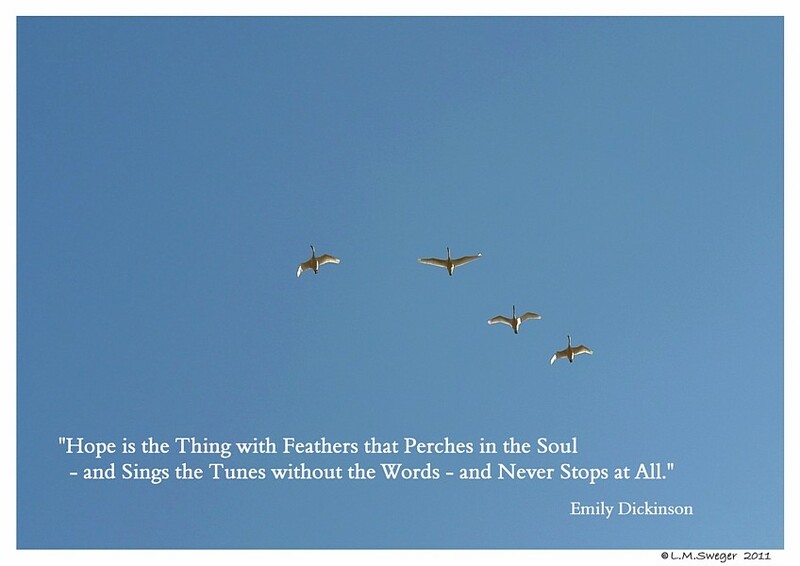 What Urge inside tells the Rest of the Flock to Follow.. ?? Distant Stars will Guide them on their Night Flight. through breaks in the Grey-Blue Clouds. 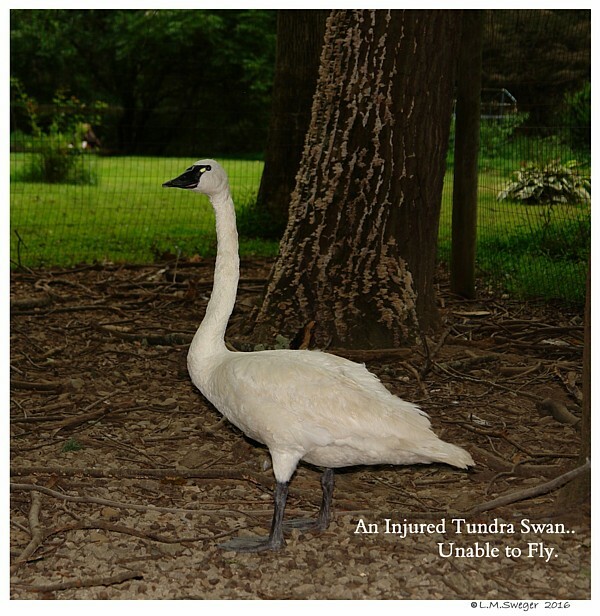 It is possible during the Early Spring you might see/find an Injured Tundra Swans. Migrating Tundra Swans can get hit by Vehicles.. They may Fly into Power lines.. 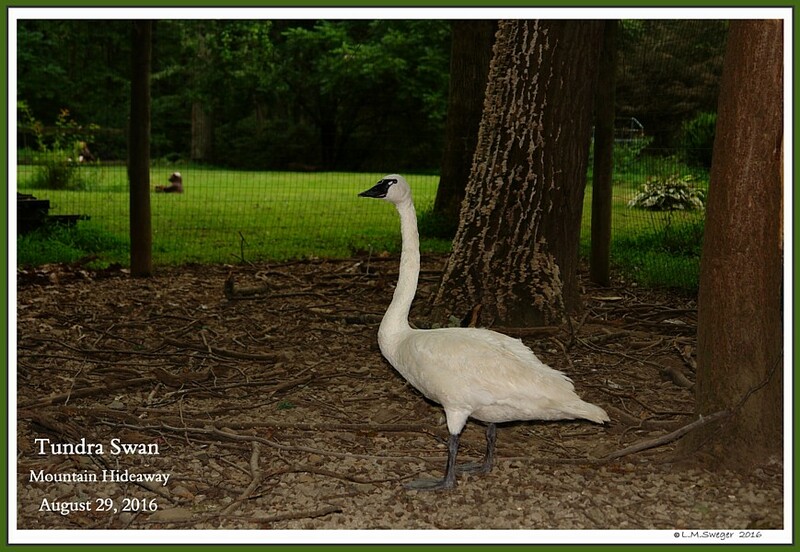 Resulting in burns, broken wings and legs..
PA Game Commission.. or a WildLife Rehab Rescue. 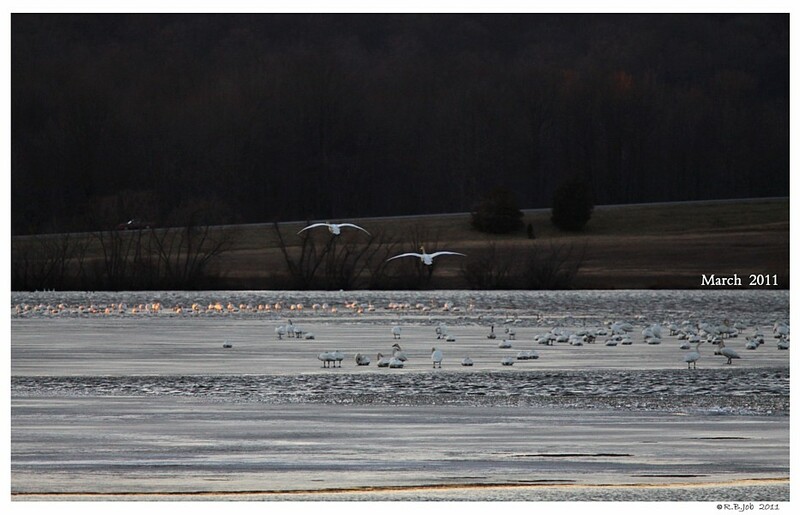 Most of the Injured Tundra Swans are taken to Tri-State Bird Rescue in Delaware.. 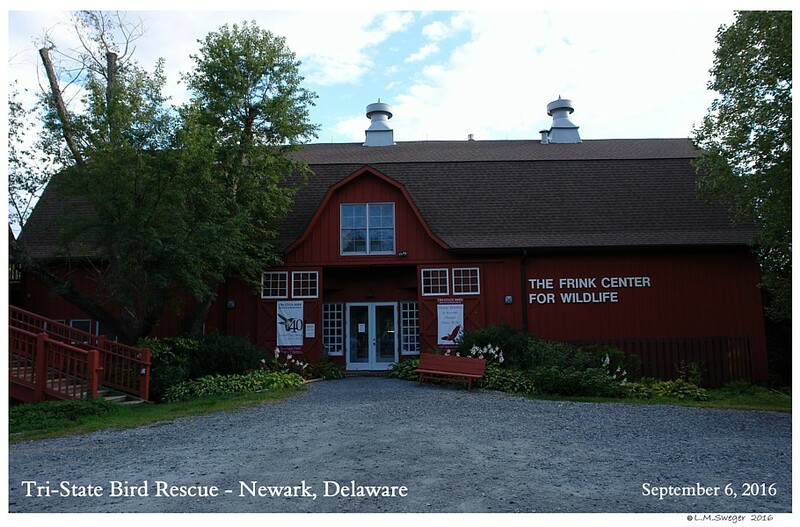 They will be Evaluated and Treated if there is hope for Recovery and Release. 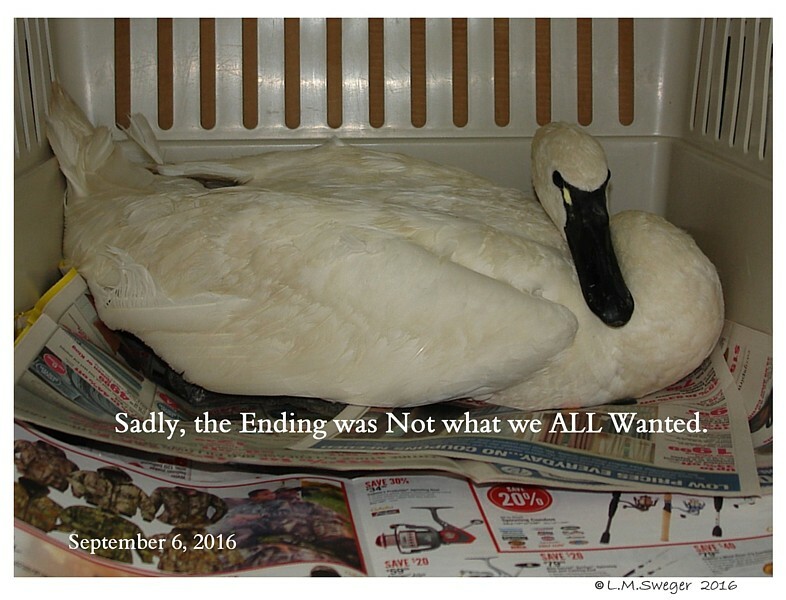 There is NO Federal Program allowing Private Ownership of Tundra Swans. 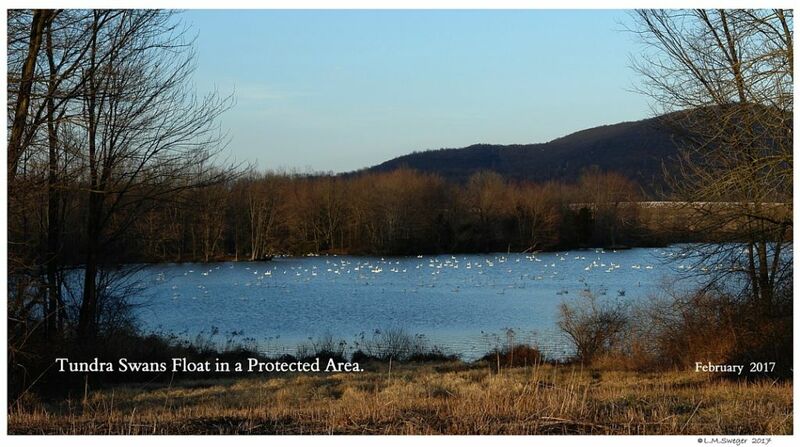 It is illegal for a Private Person to have these Federally Protected Swans.. 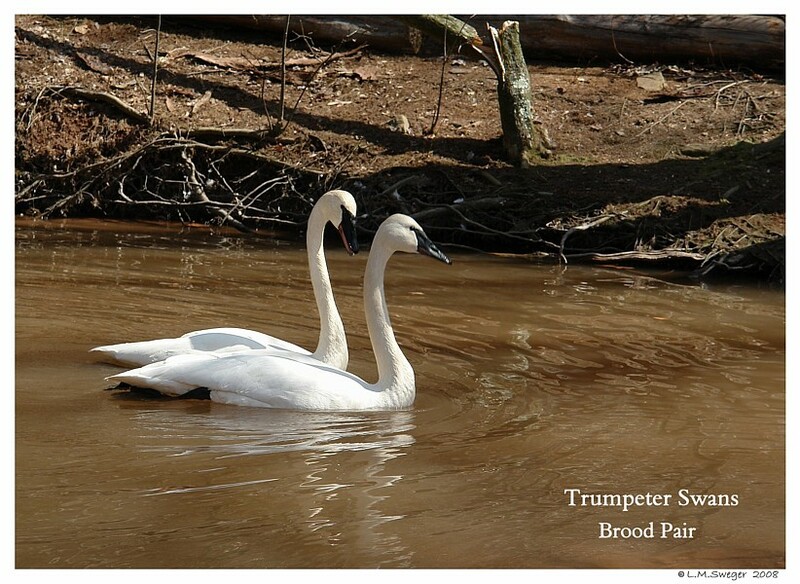 Properly Registered Pinioned Trumpeter Swans may be Privately Owned. 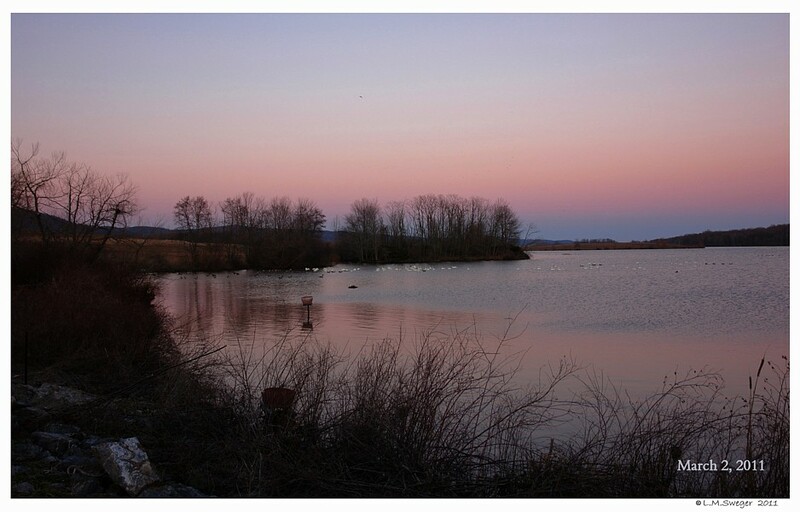 in Scotland Neck, North Carolina, USA.